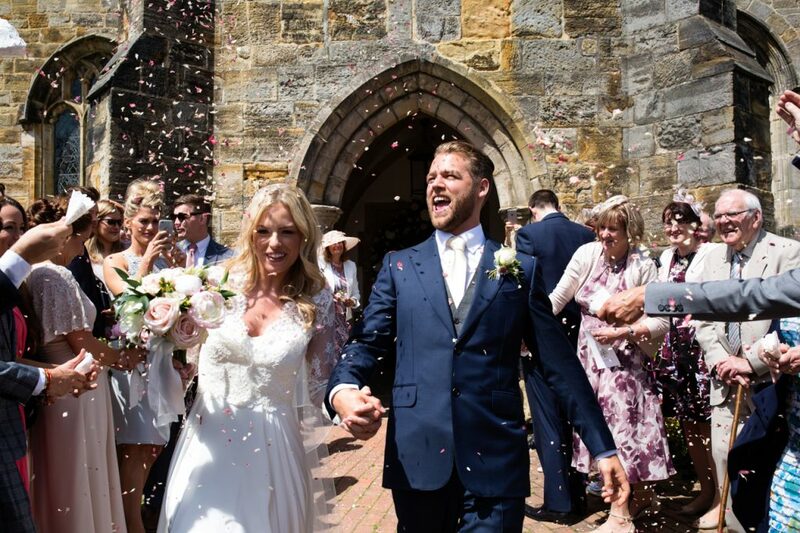 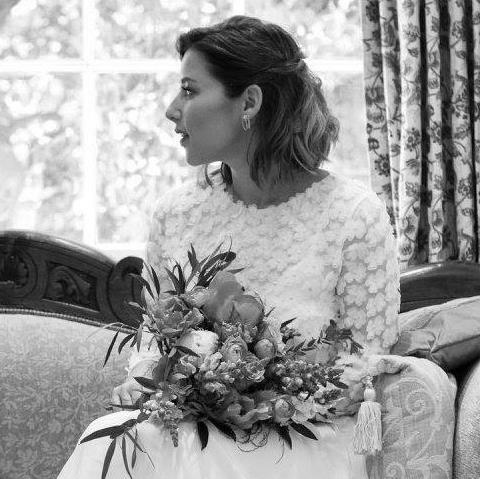 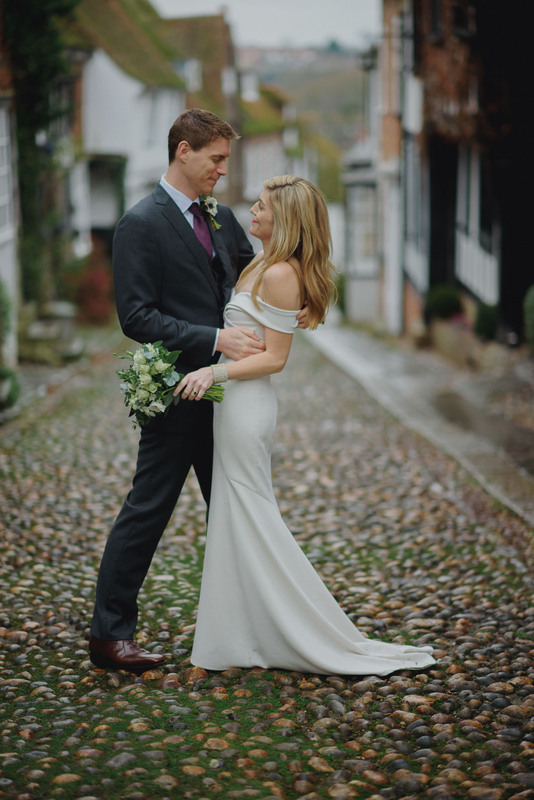 Katie and Francis married in Rye as Francis’s family have strong connections with the area. 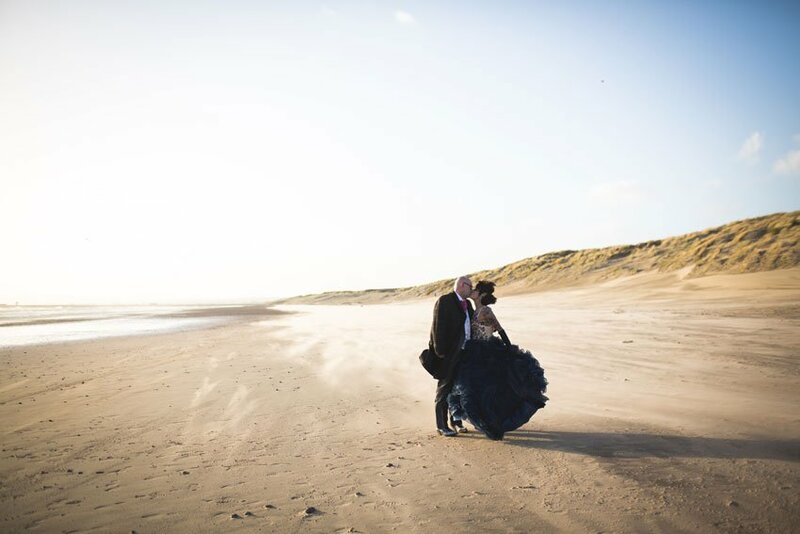 Here is a lovely shot of them by Stephen Bunn having a quiet moment. 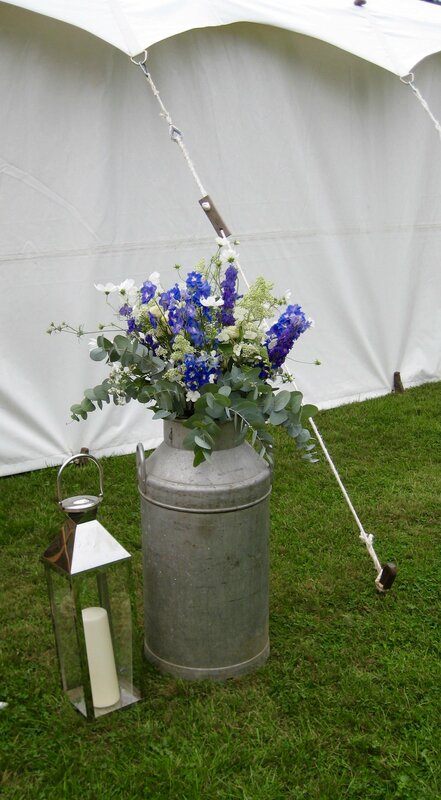 And this is one of the pew end jars in St. Mary’s Church which then adorned the mantles at their reception. 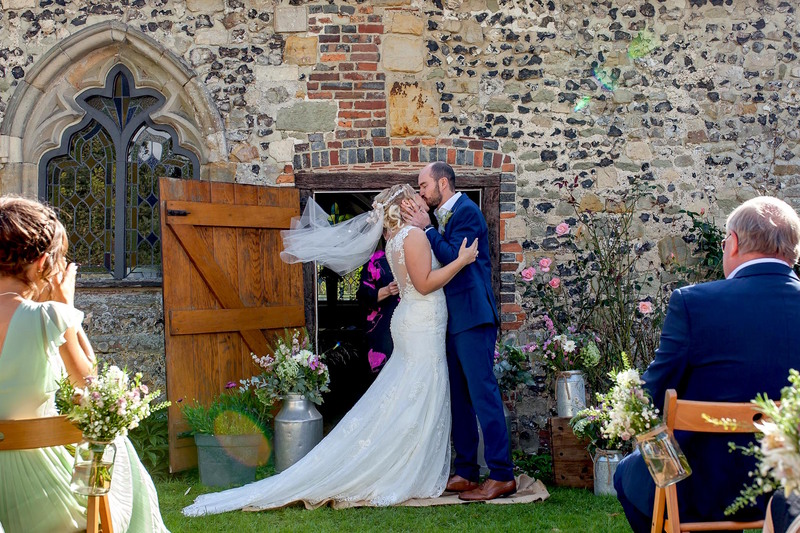 October soon came round and proved to be another busy month. 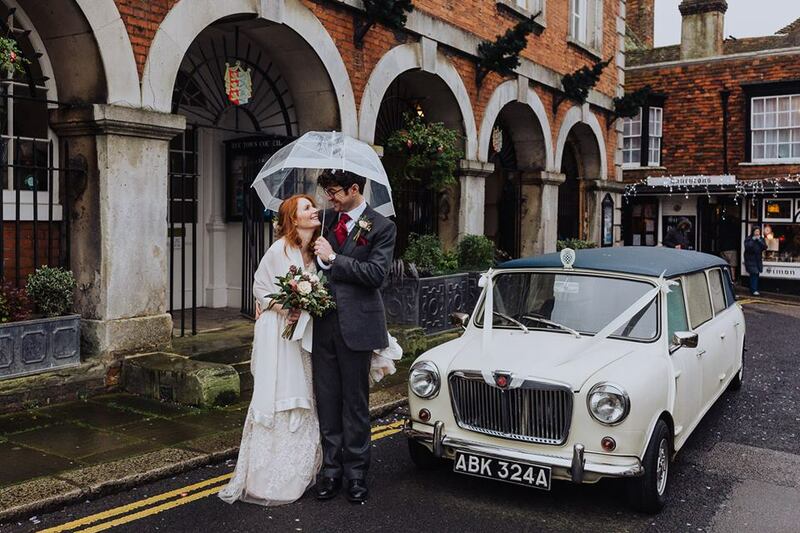 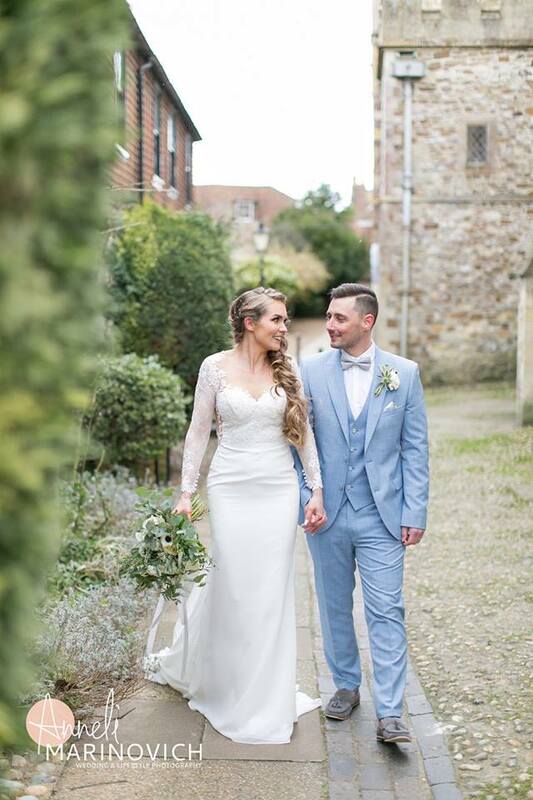 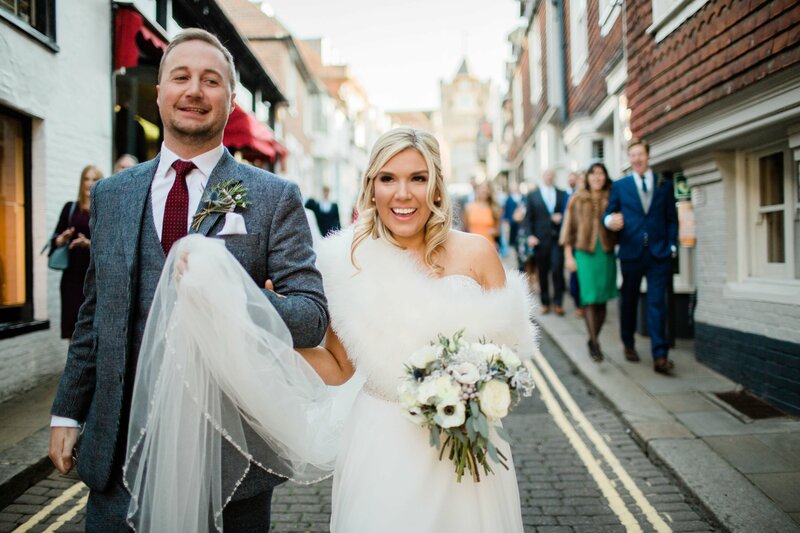 Sallie & John got married in the Catholic Church in Rye with their reception at The George in Rye The lovely Jacqui McSweeney took some great shots even though the weather wasn’t brilliant! 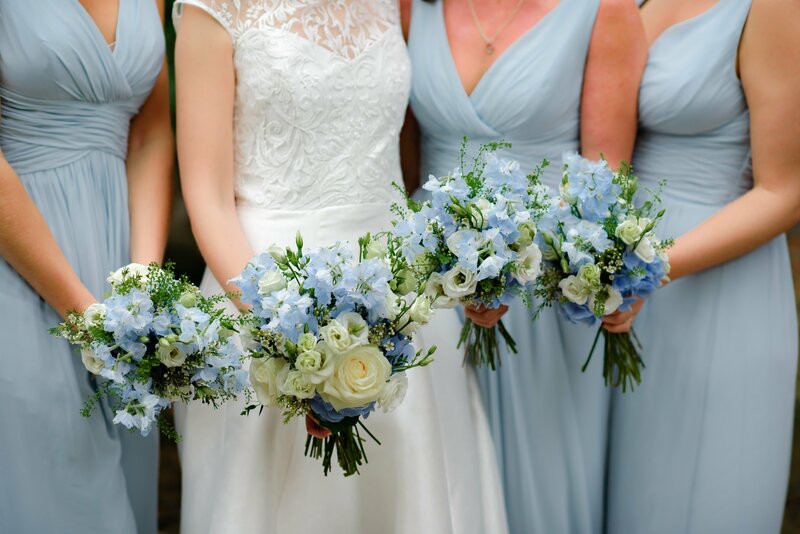 Pale blue hydrangea’s & delphinium with ivory roses, lisianthus, wax flower & green bell to compliment the powder blue bridesmaids dresses. 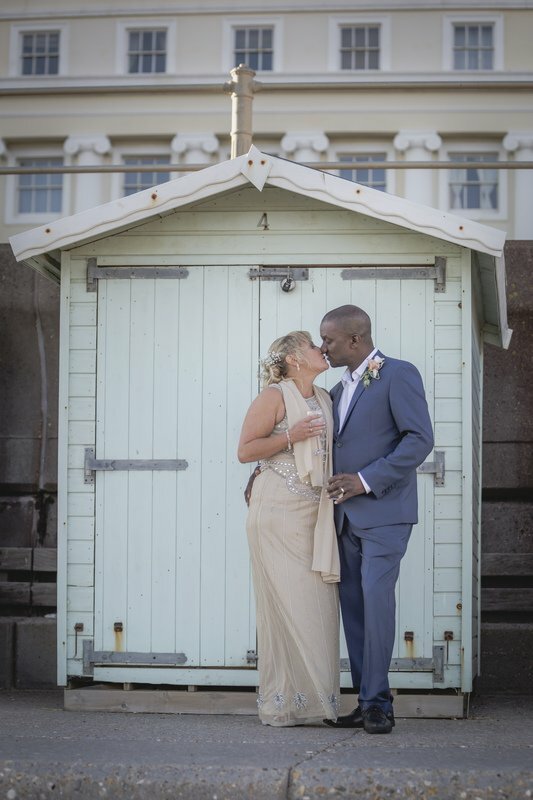 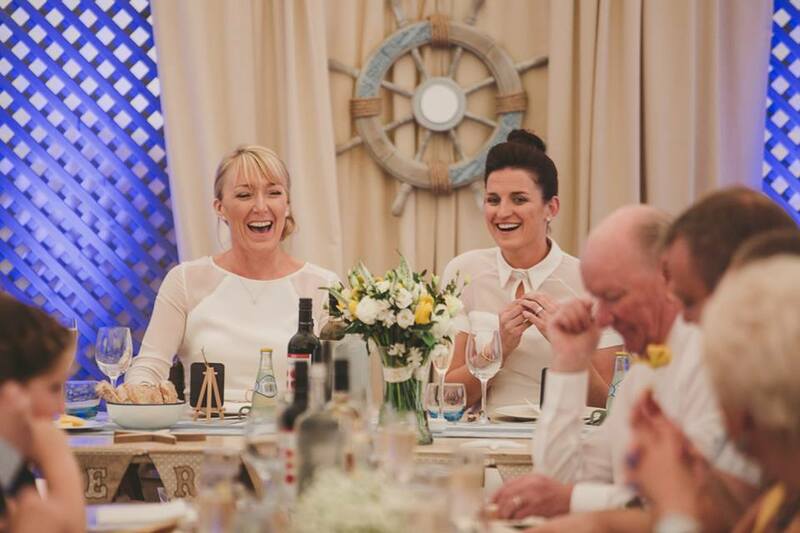 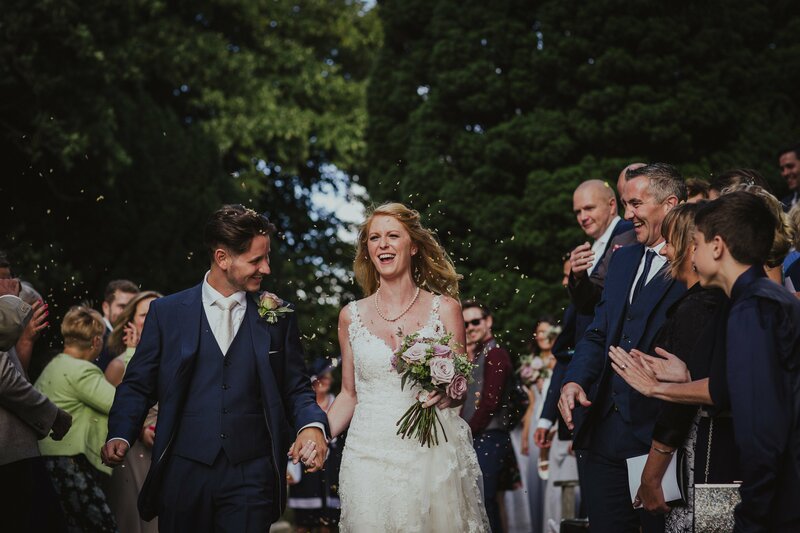 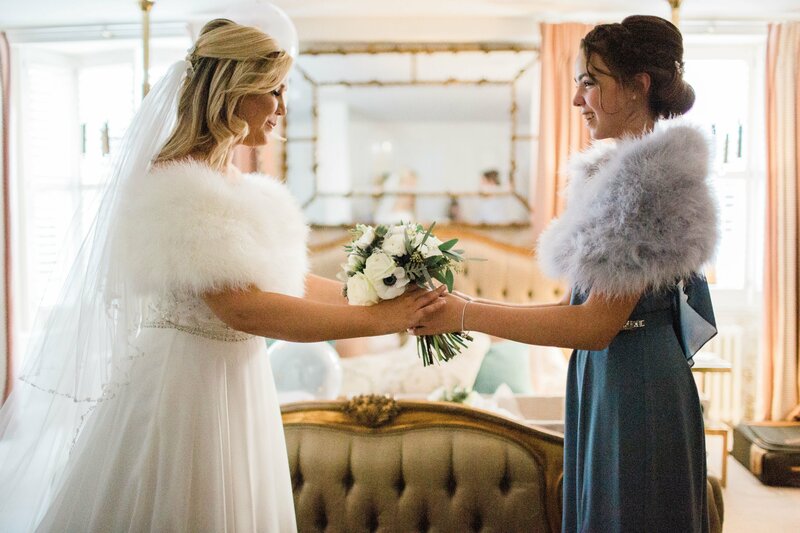 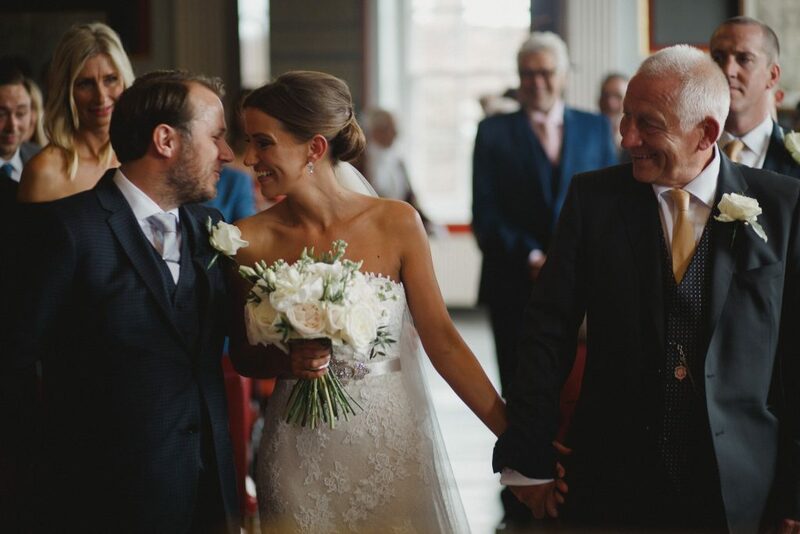 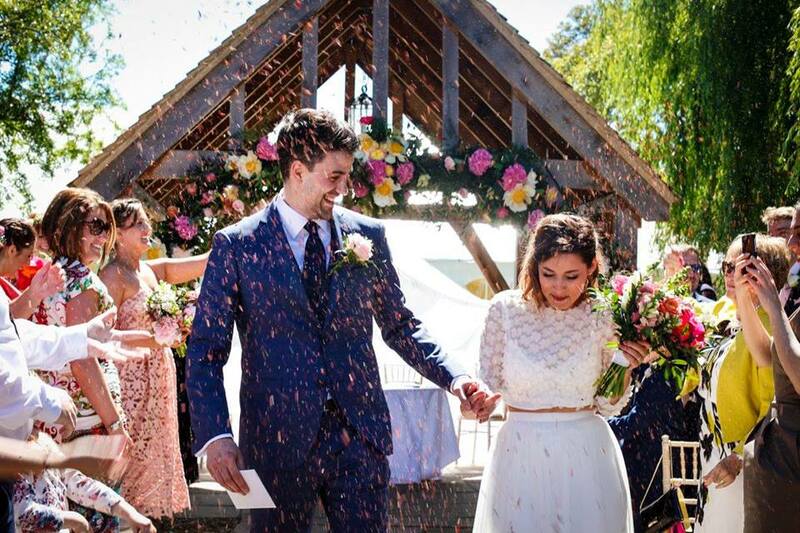 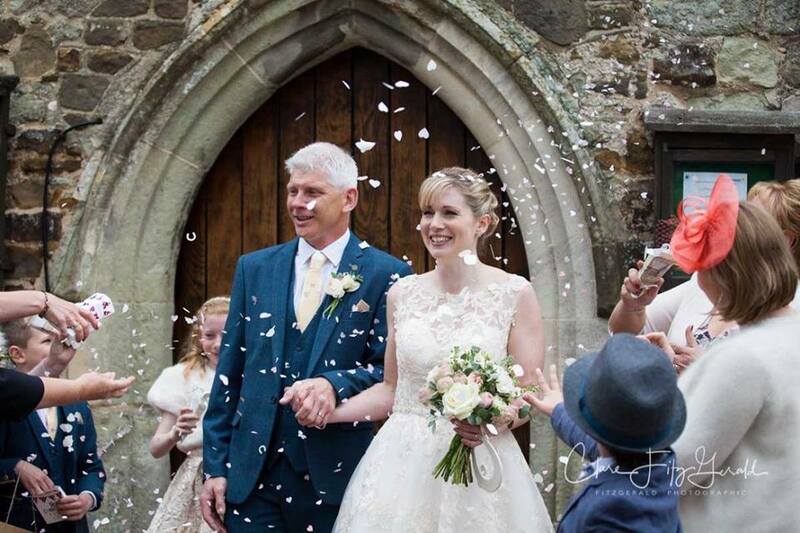 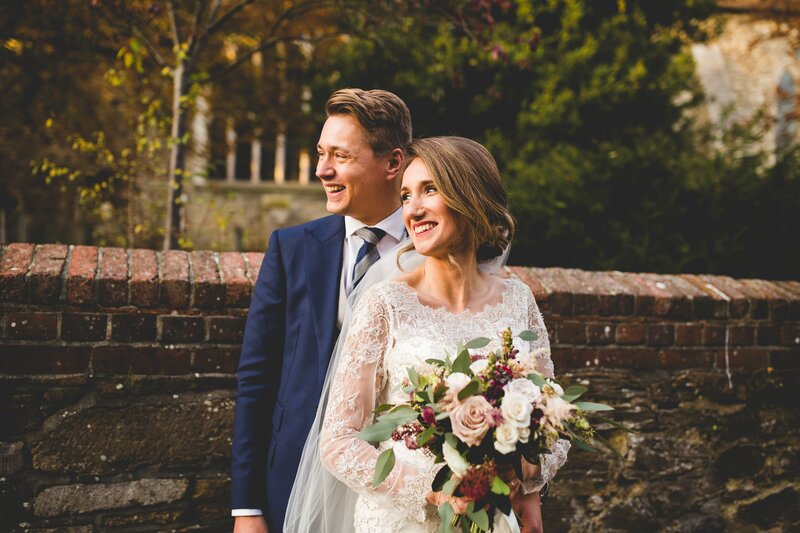 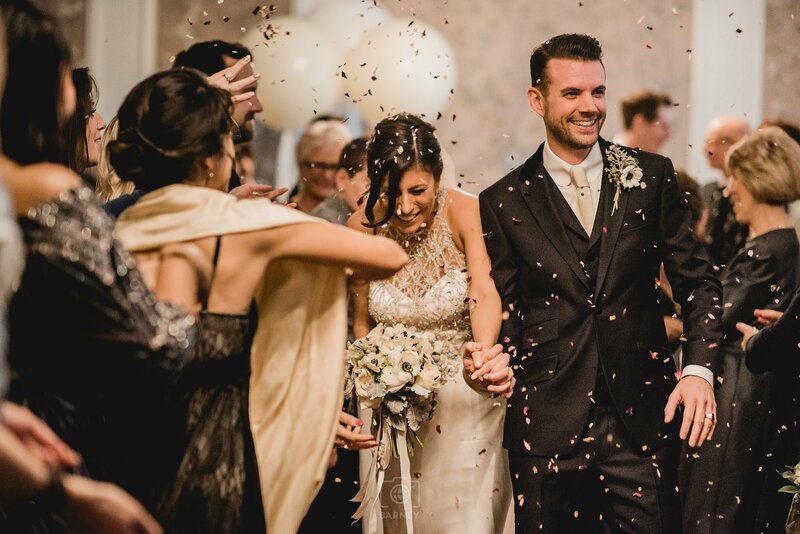 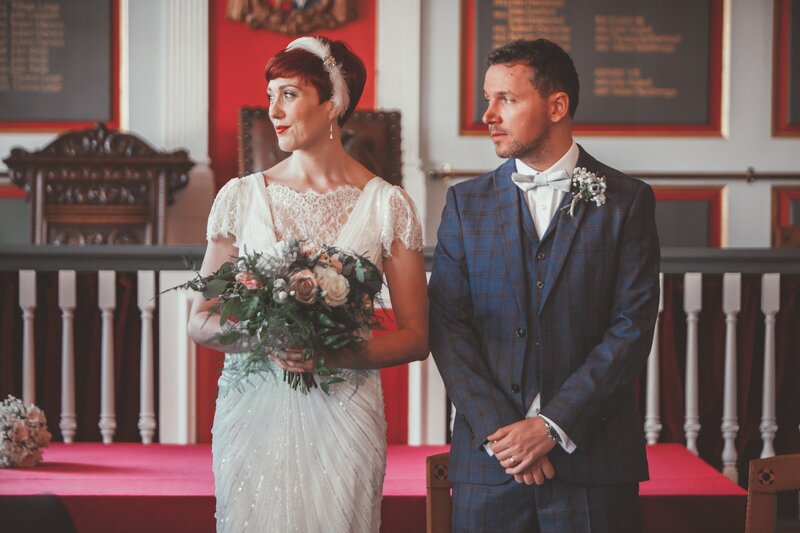 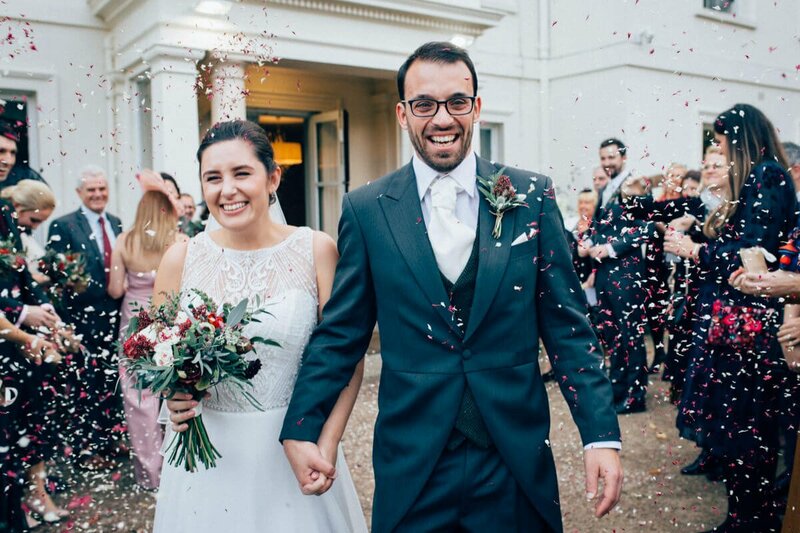 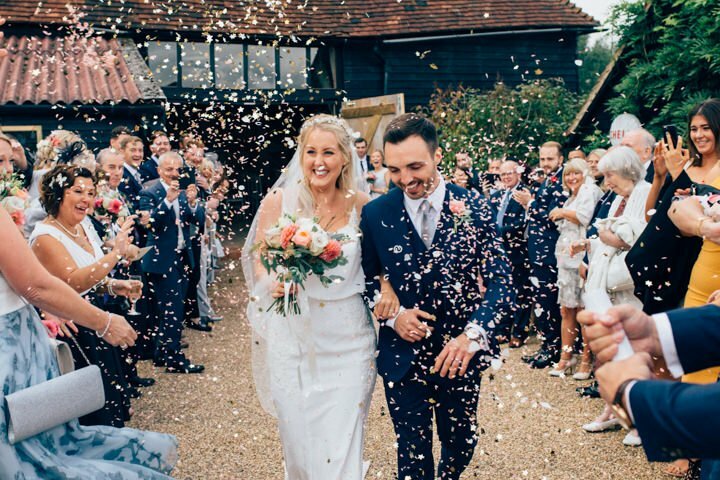 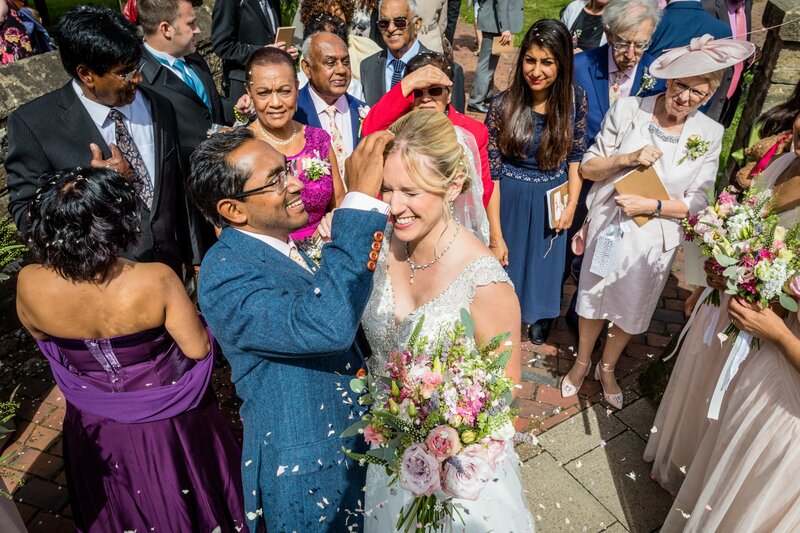 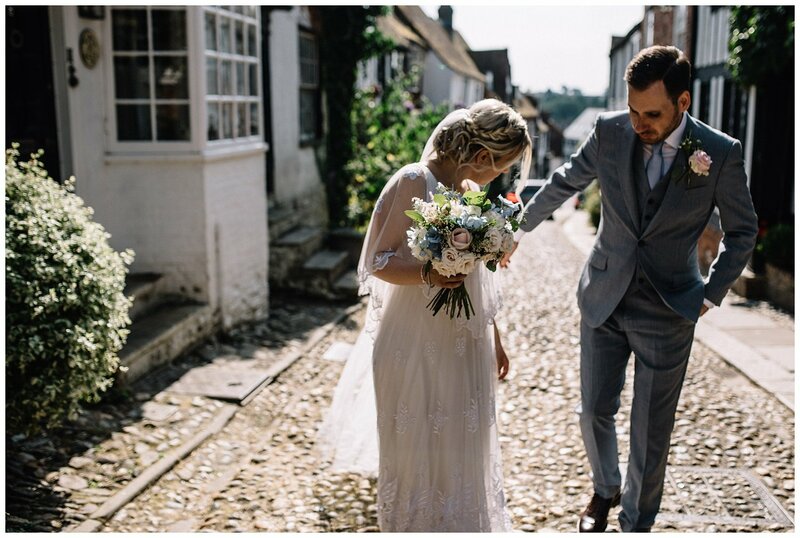 Such a lovely moment captured by Jacob and Pauline and look at those stoles, great for an October wedding. 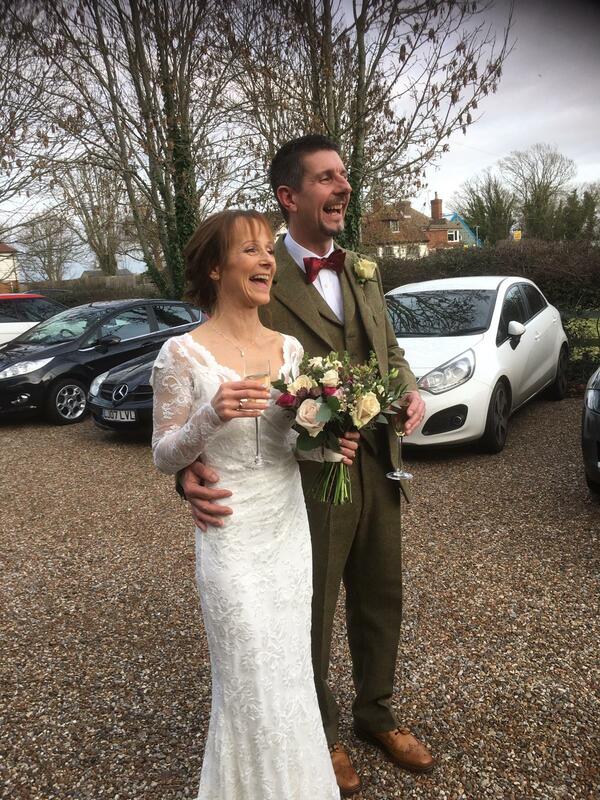 And the happy couple again. 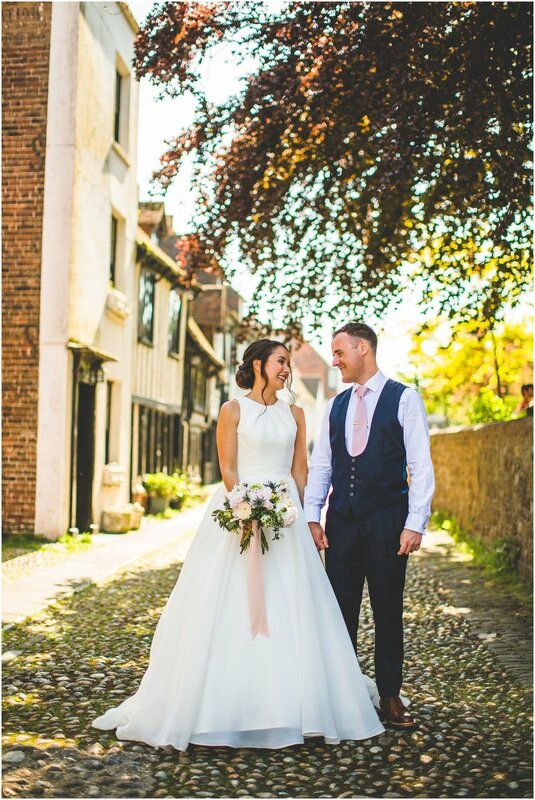 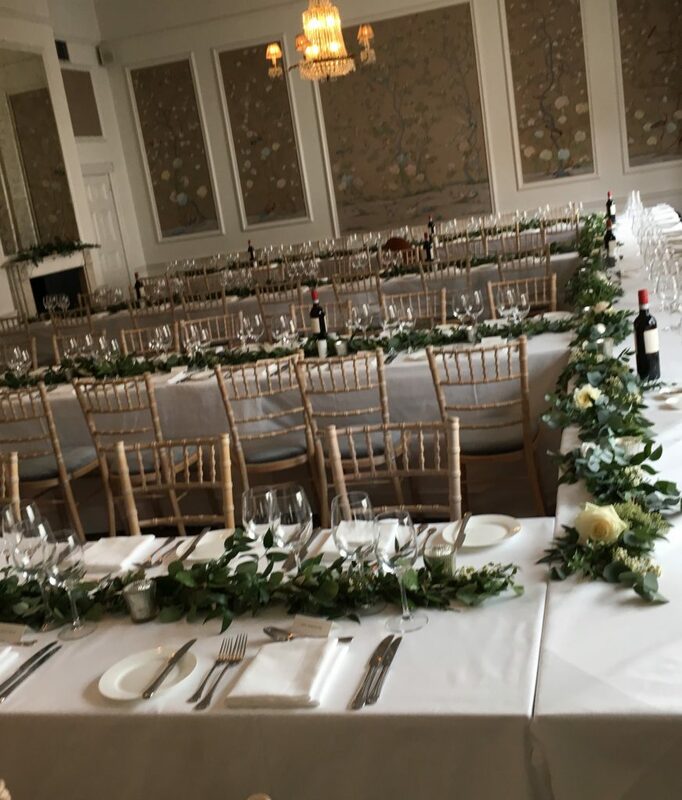 I said October was busy, Francois and Alex also chose The George in Rye for their wedding reception with the ceremony in Rye Town Hall, local venues as Alex’s family come from Wittersham. 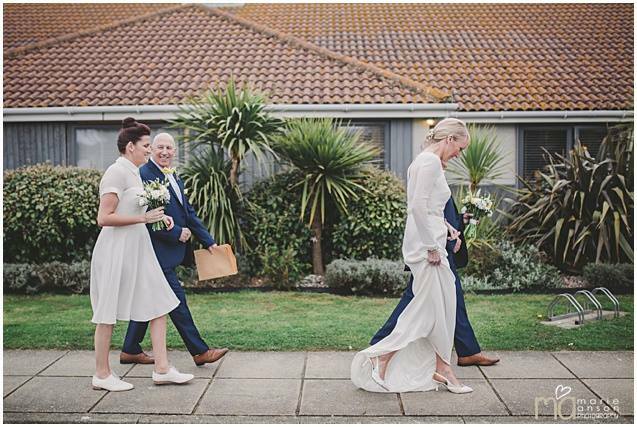 Thanks to Matt Harquail for the photo’s, the odd quirky little shot crept in! 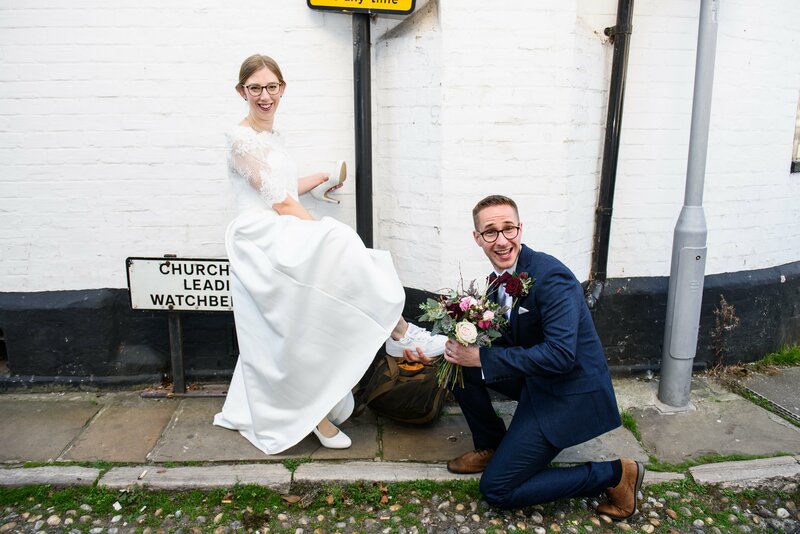 Getting to the Church, (ok Town Hall) on time! 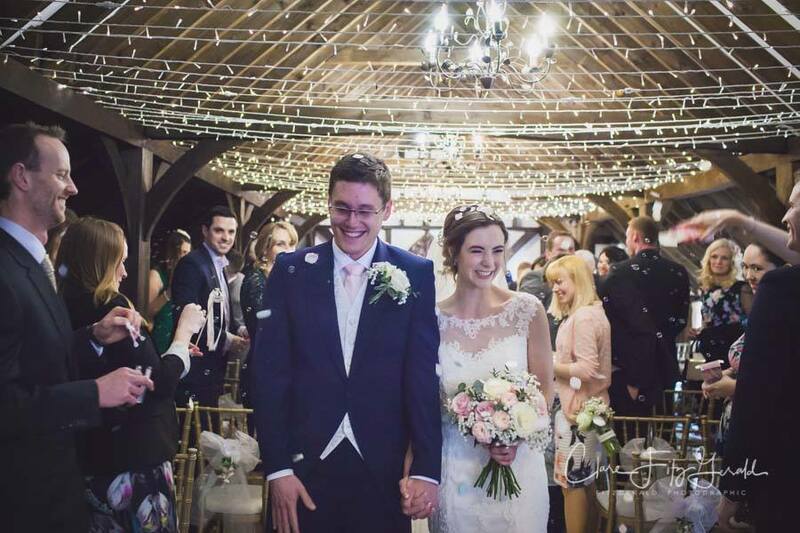 And the all important walking down the table! 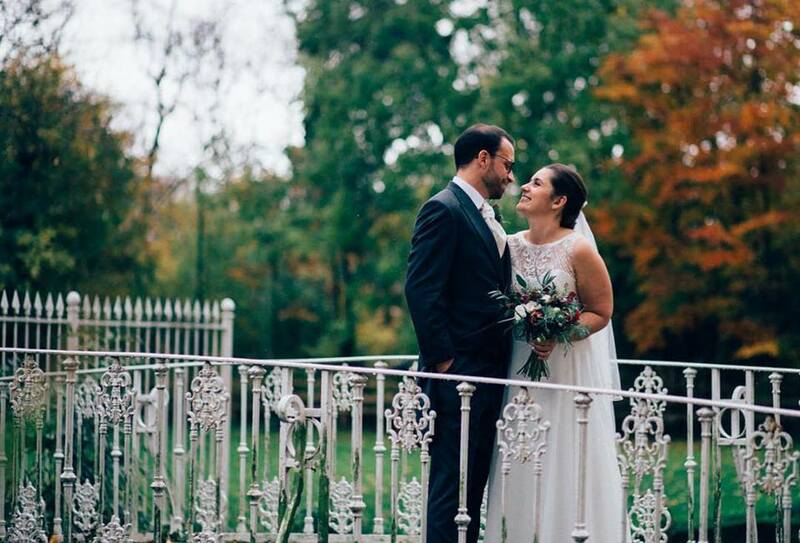 And now for the November weddings. 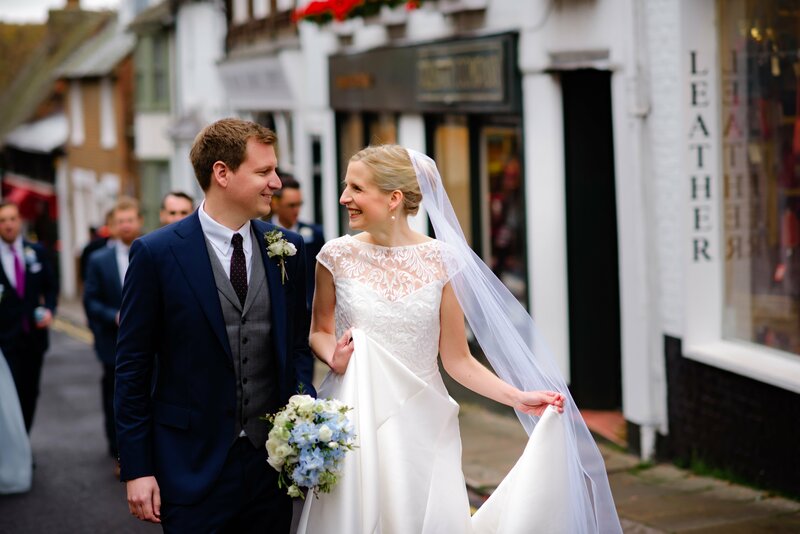 Sophie and Tom were the picture of style and elegance. 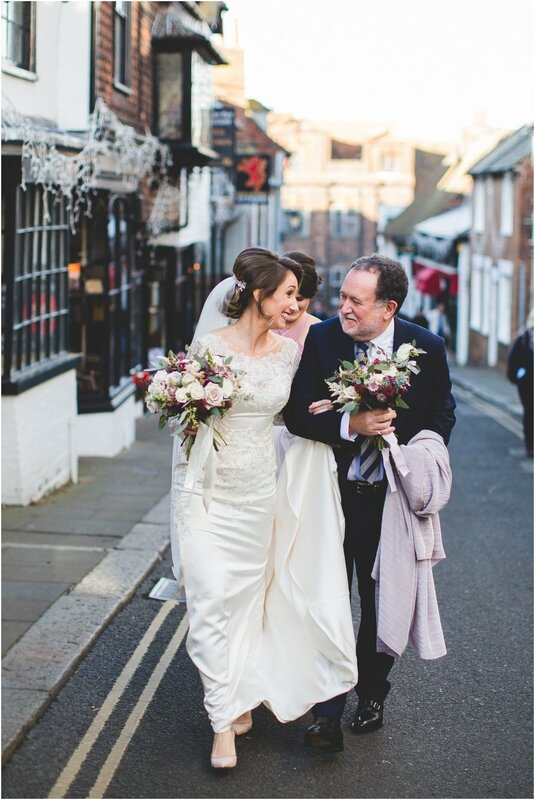 Debbie Sanderson captured them beautifully as they strolled round Rye. 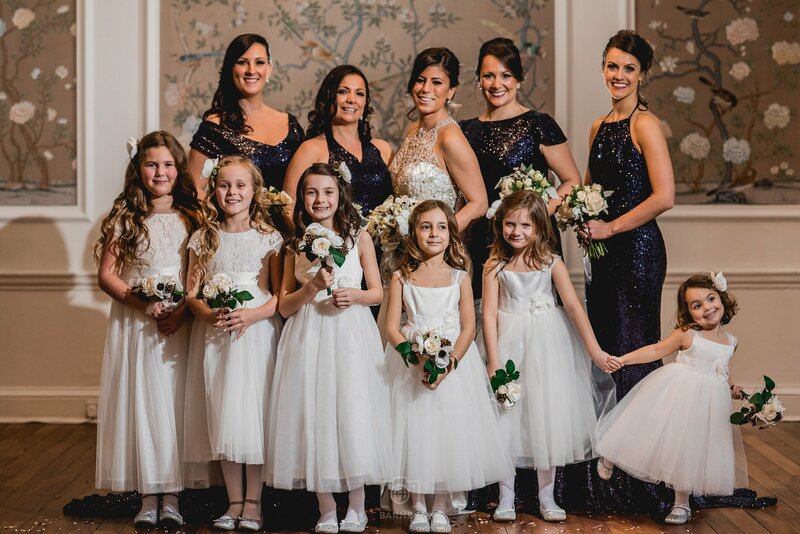 And we mustn’t forget her gals! 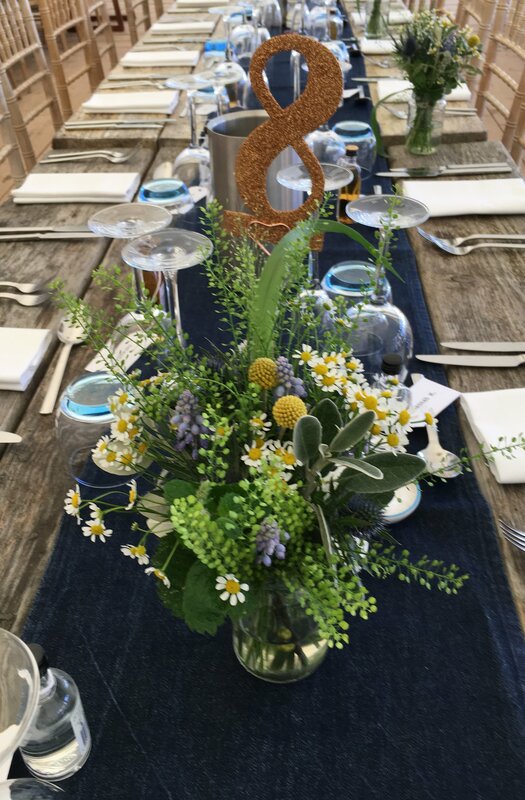 The table didn’t look bad either! 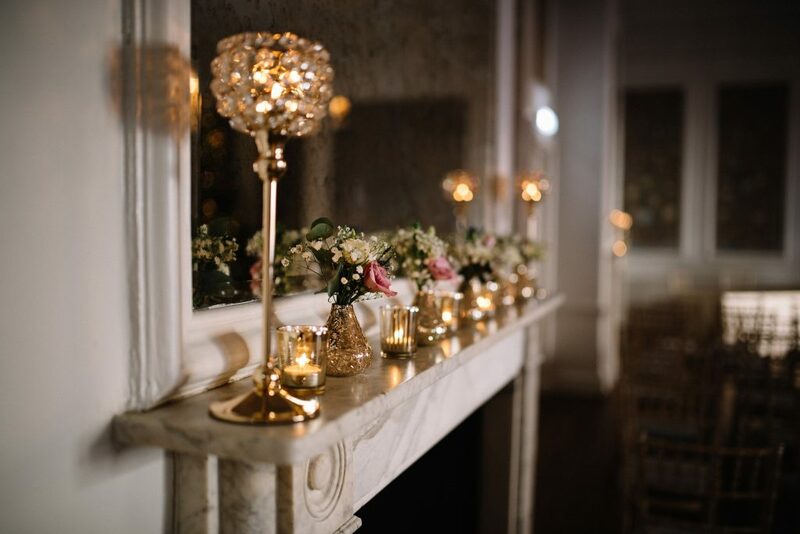 I am a fan of the banquette table which is looking very atmospheric with all those candles. 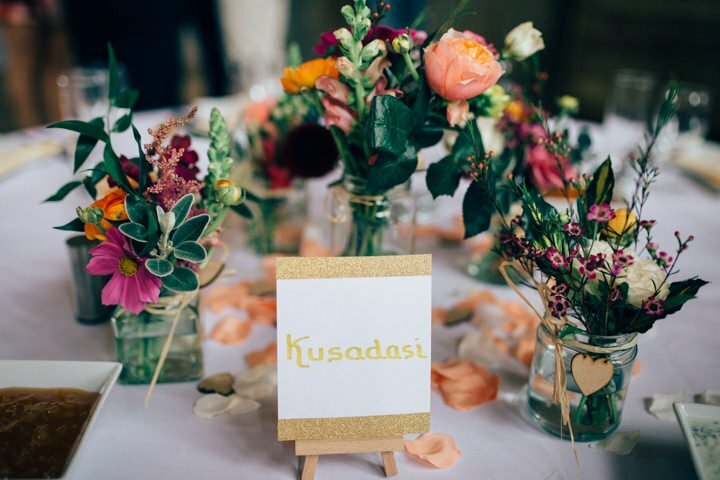 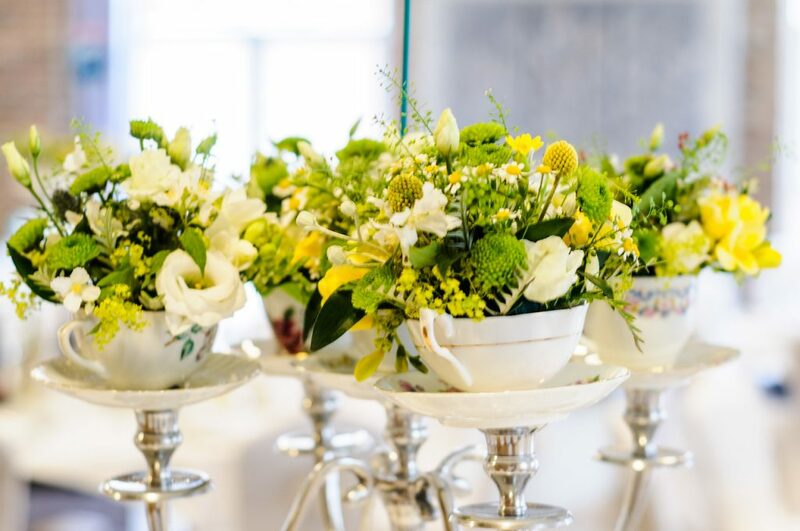 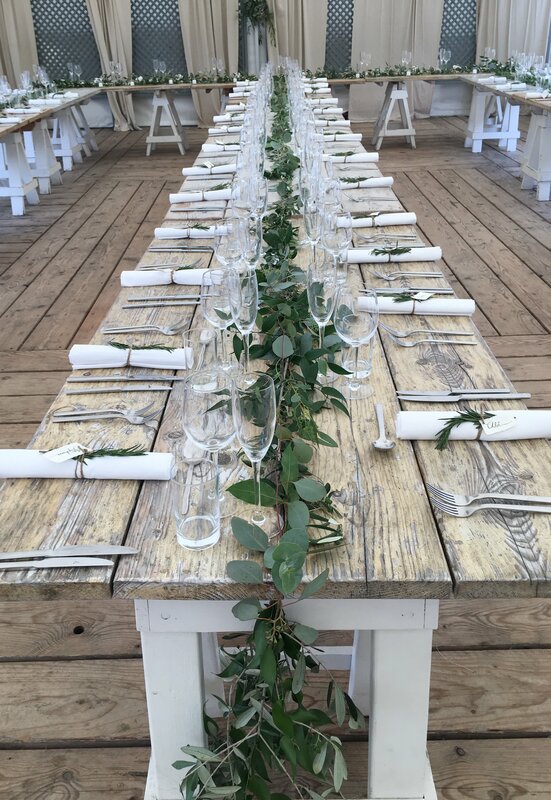 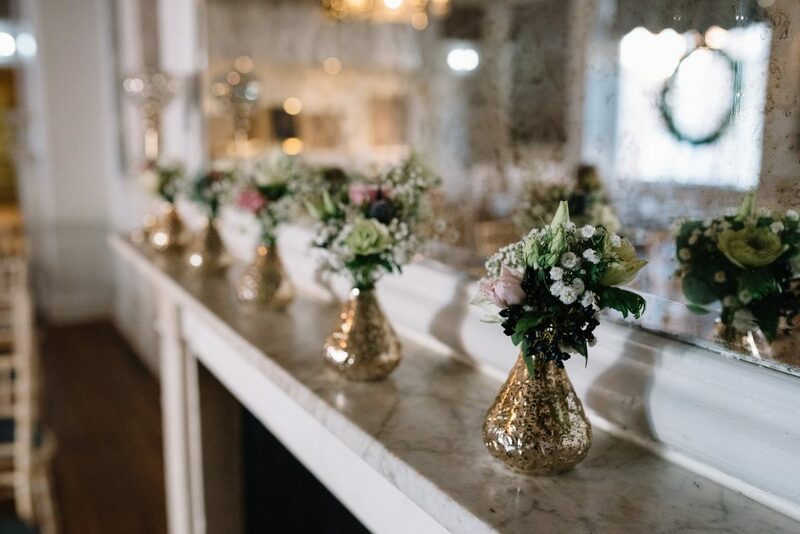 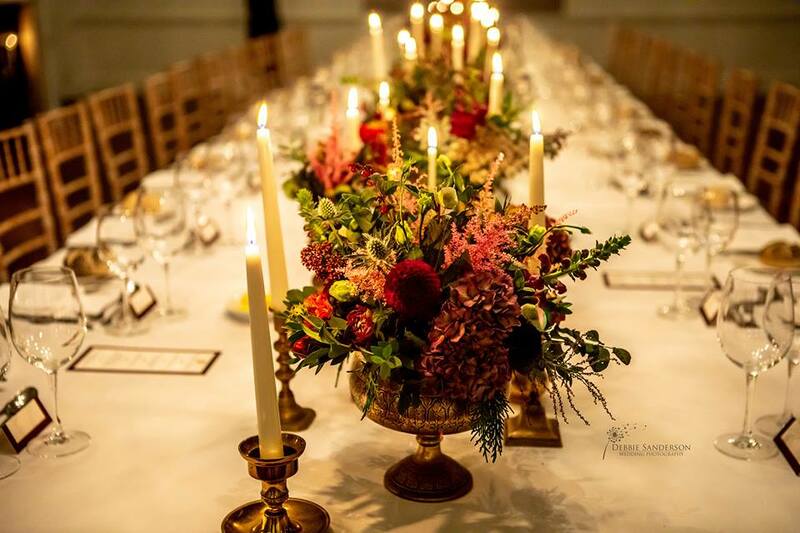 Thanks to Hire Love, The Timeless Stylist & Wild Rubus for the gold candlesticks and vases. 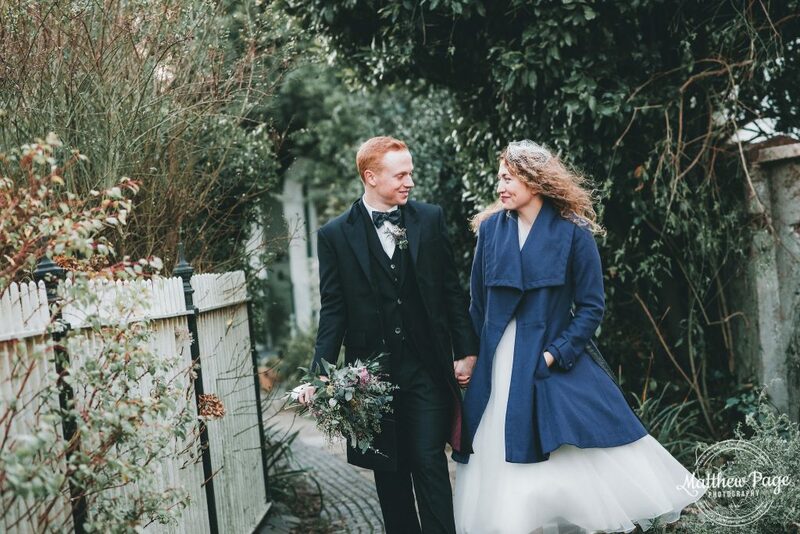 Our next wedding was a bit further a field, Morden Hall a National Trust property in South London. 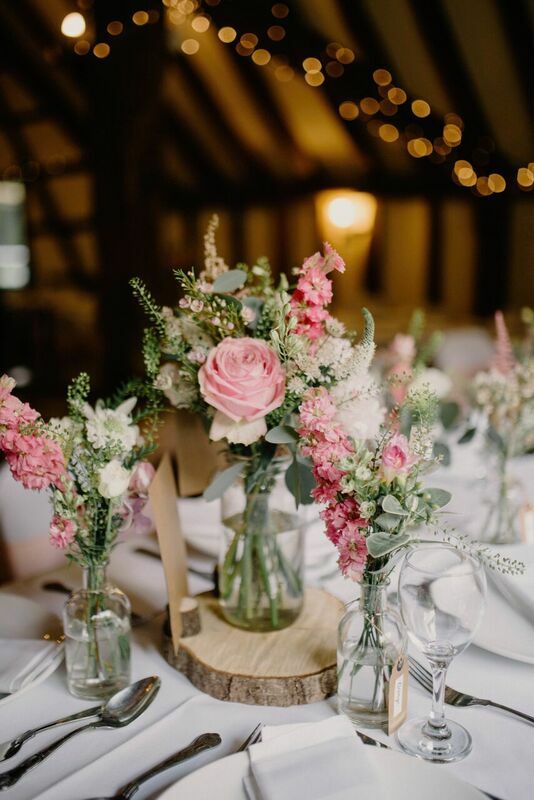 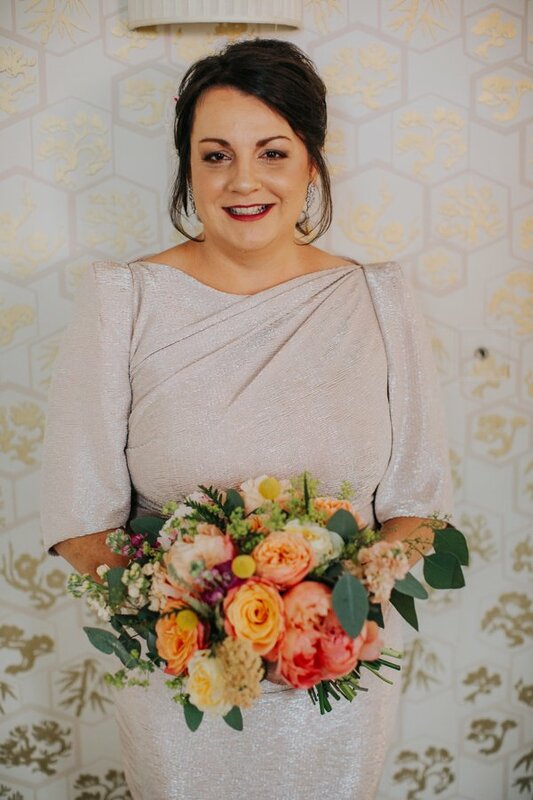 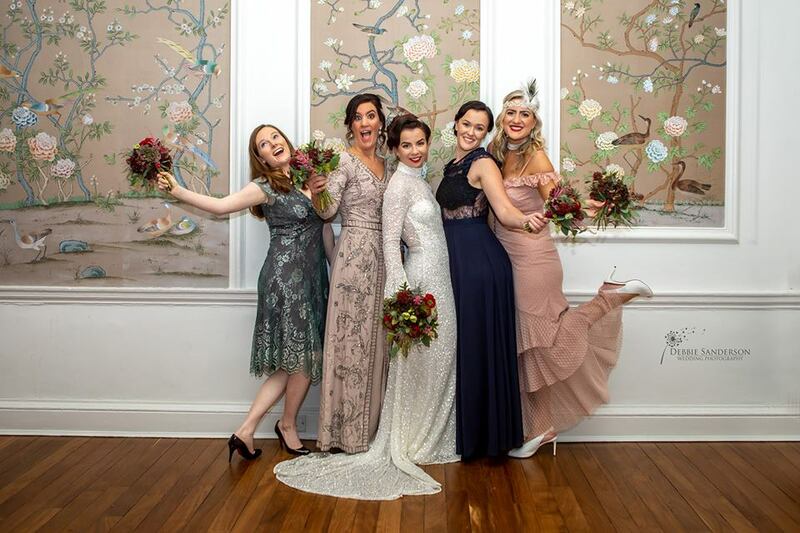 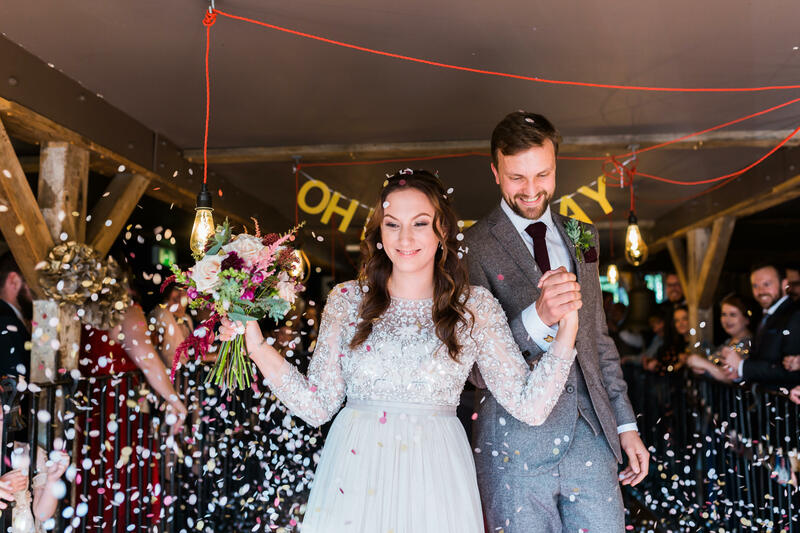 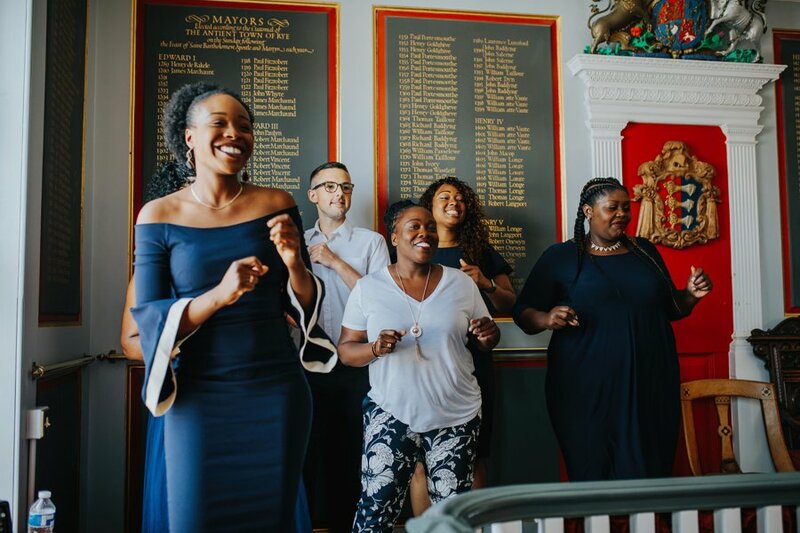 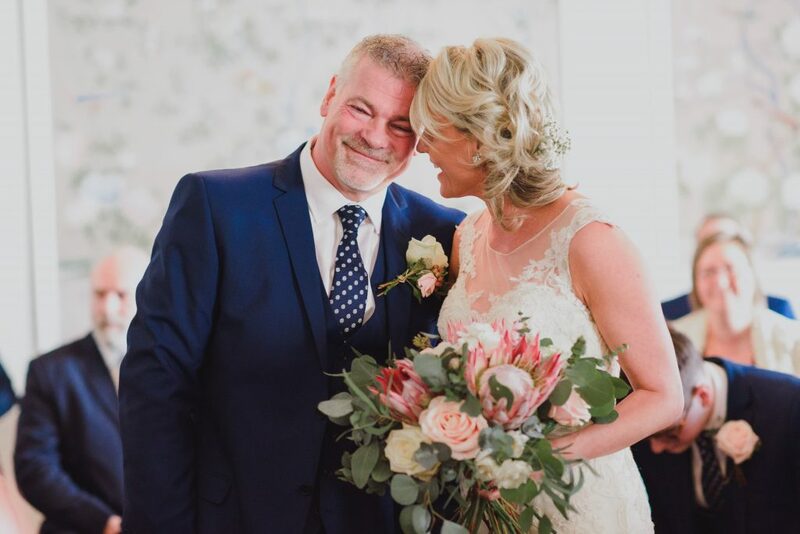 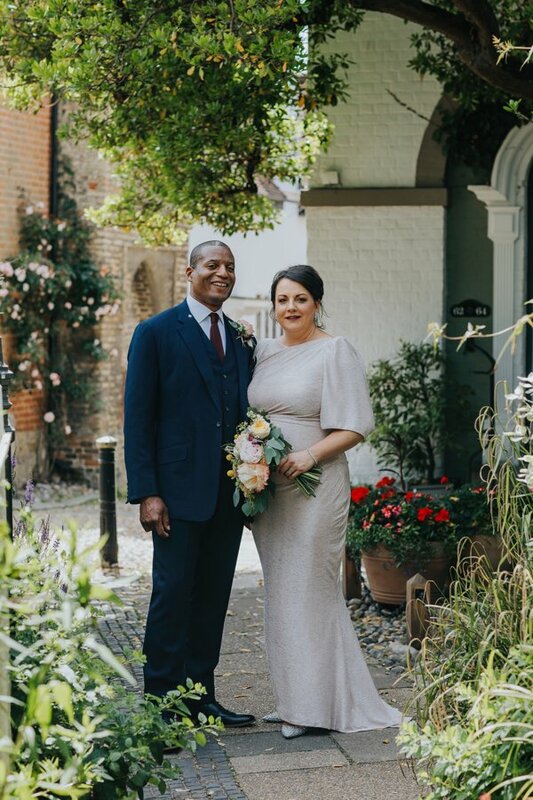 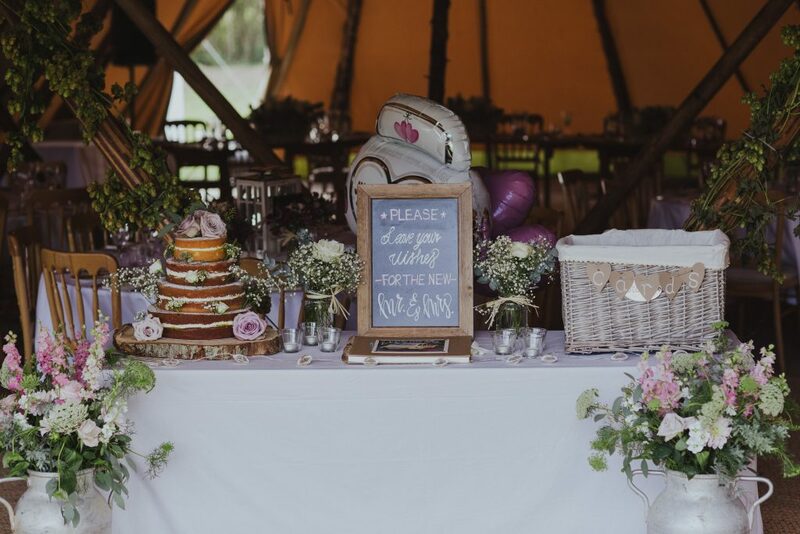 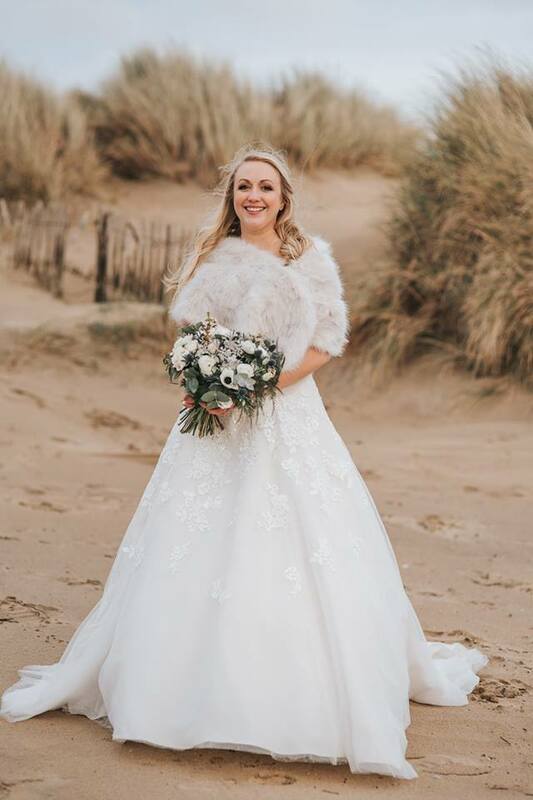 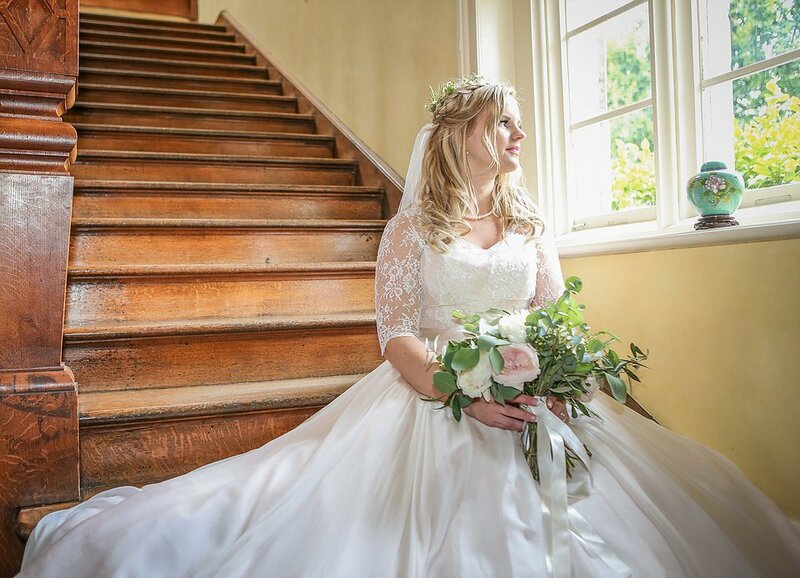 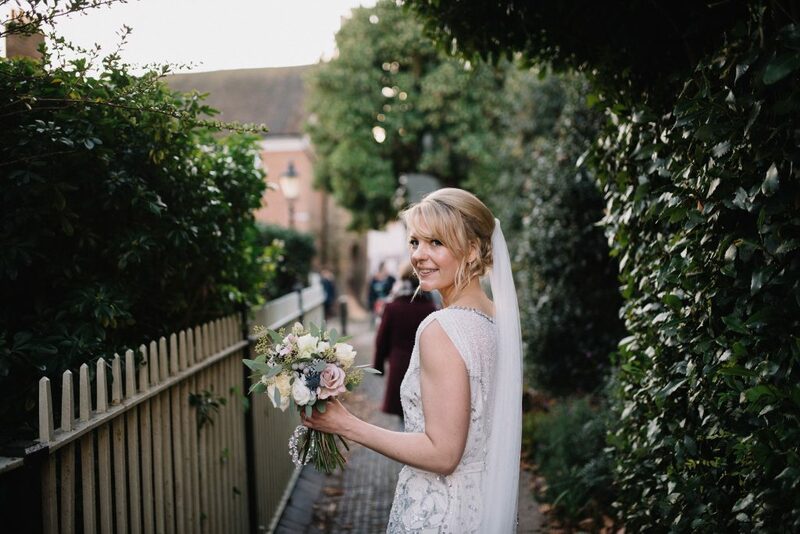 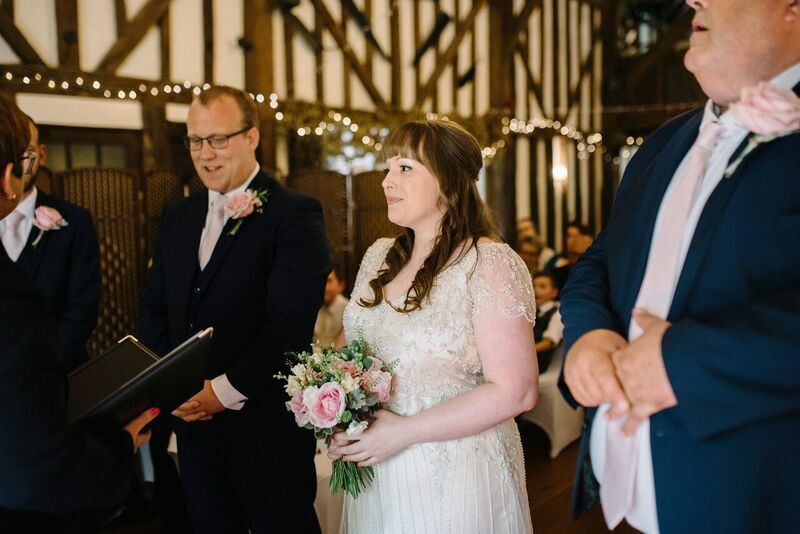 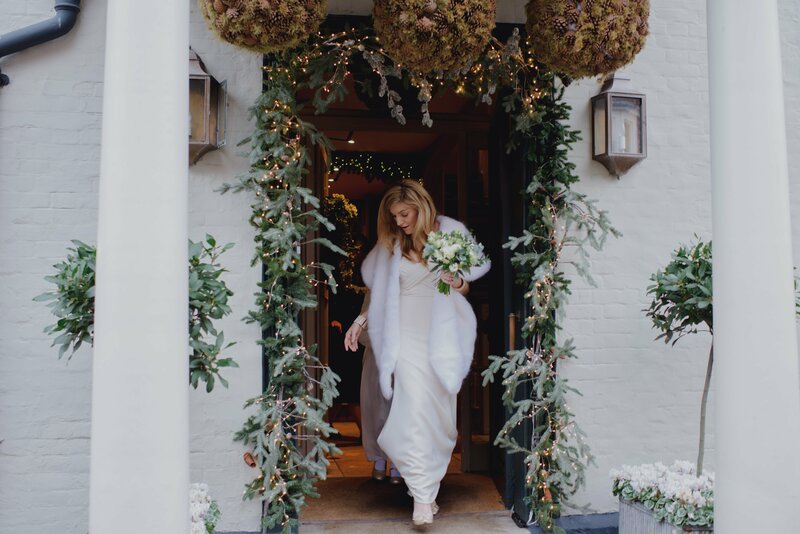 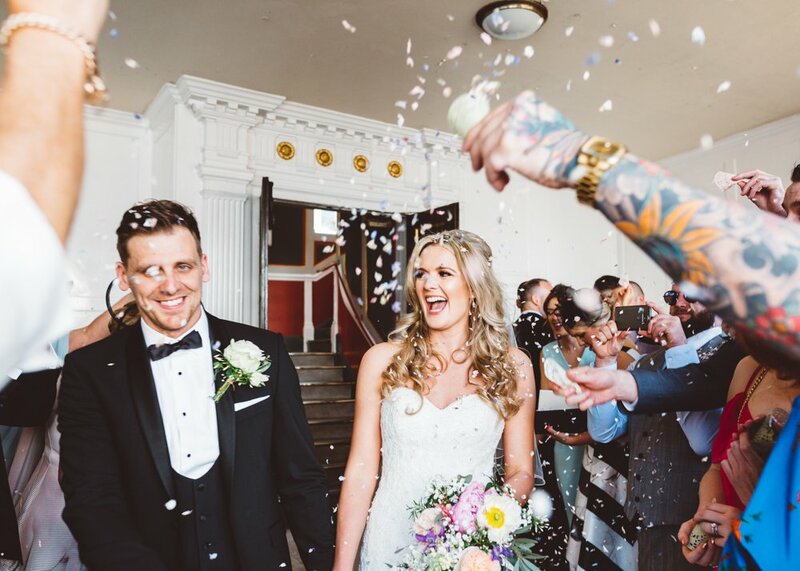 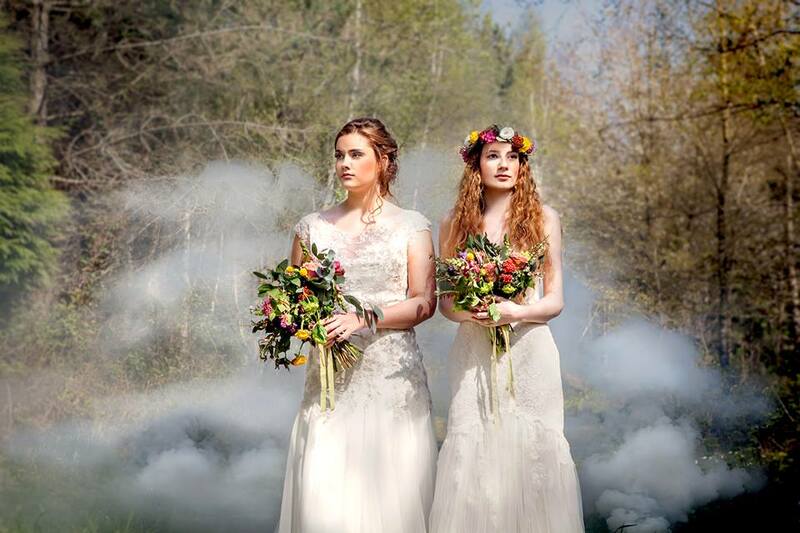 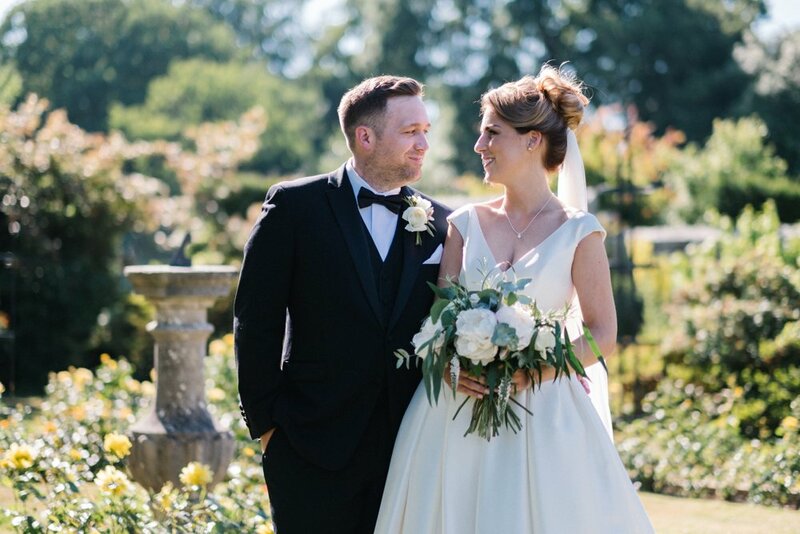 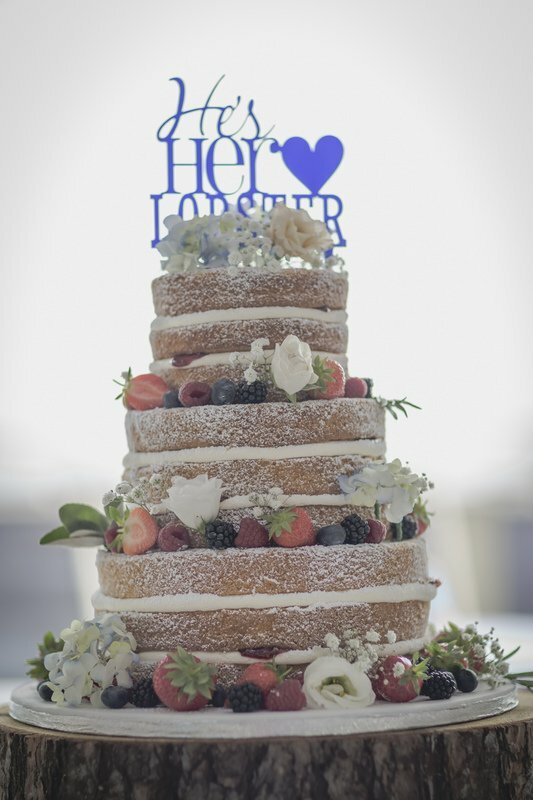 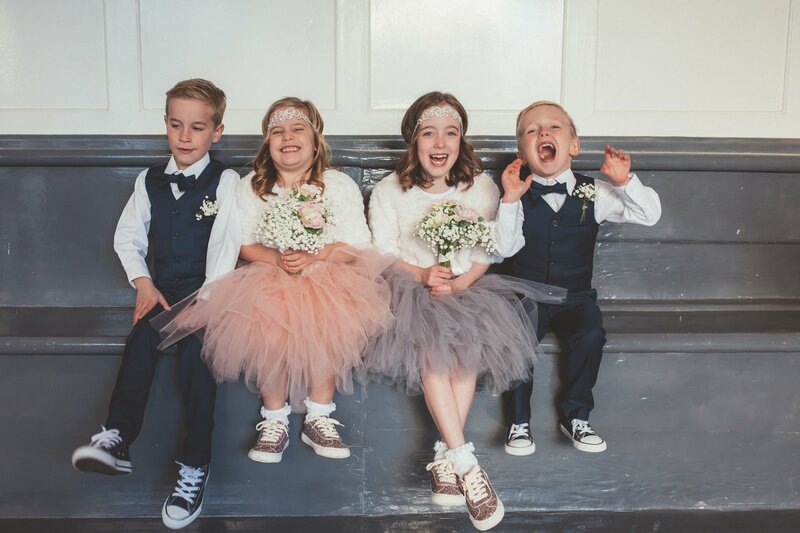 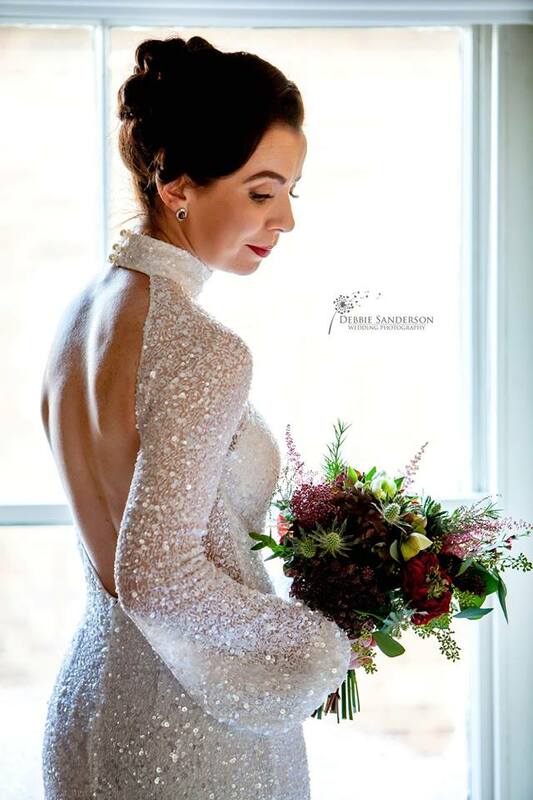 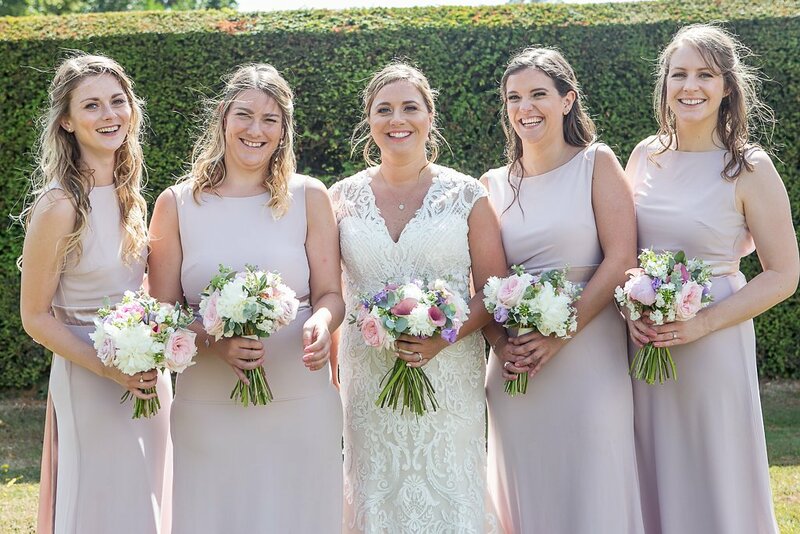 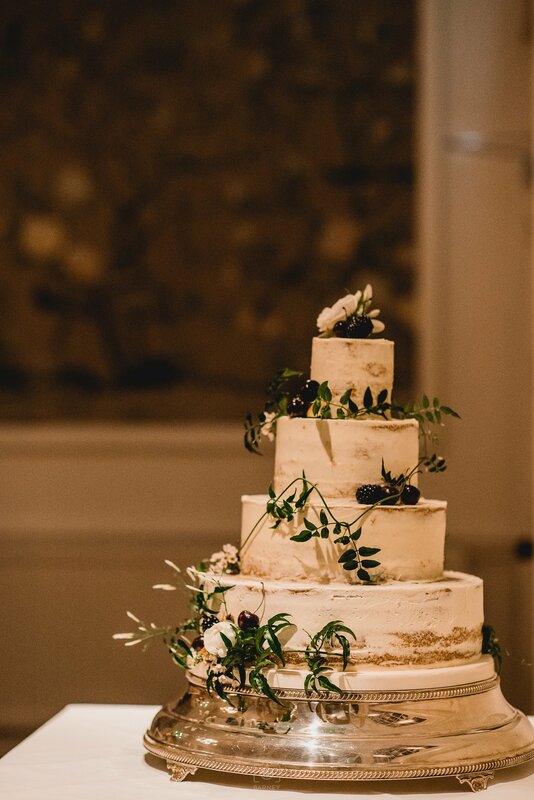 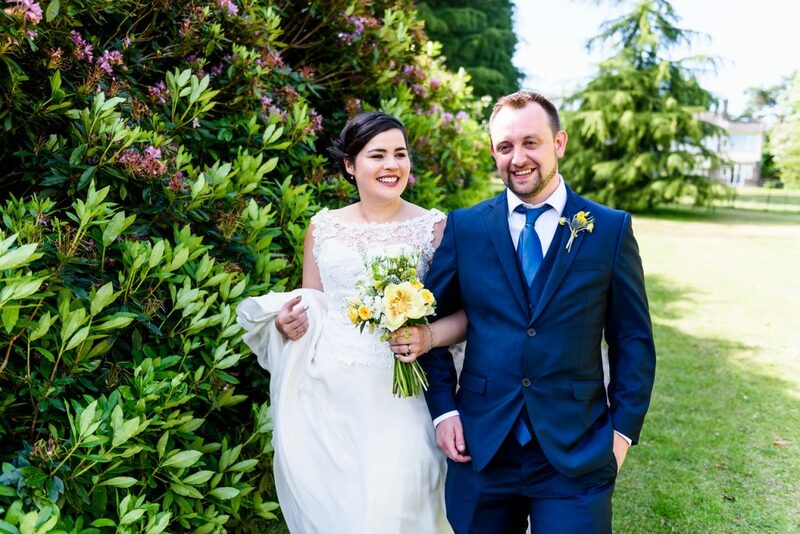 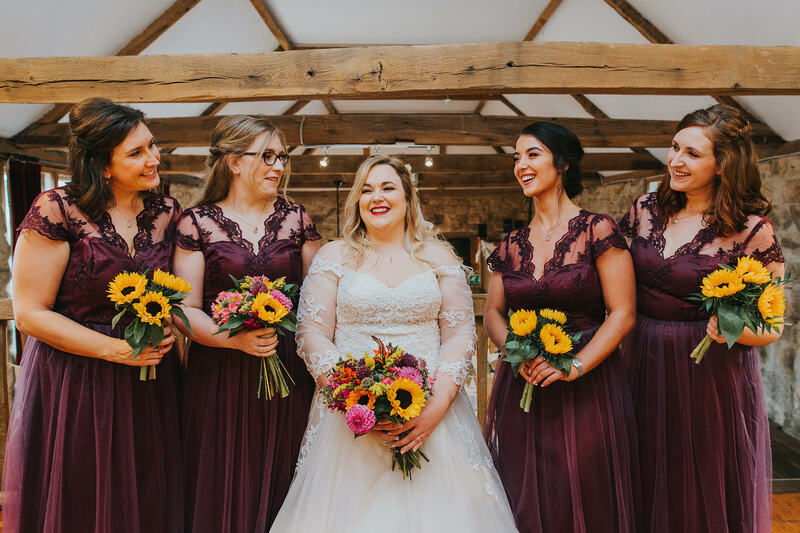 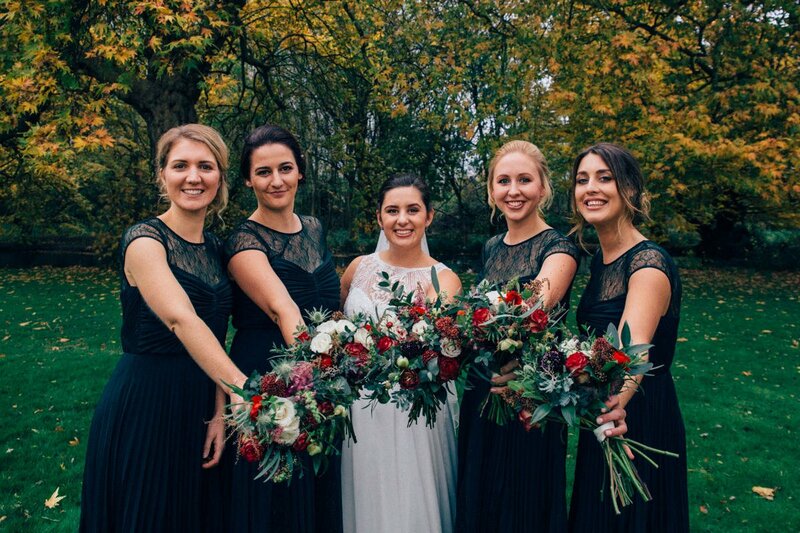 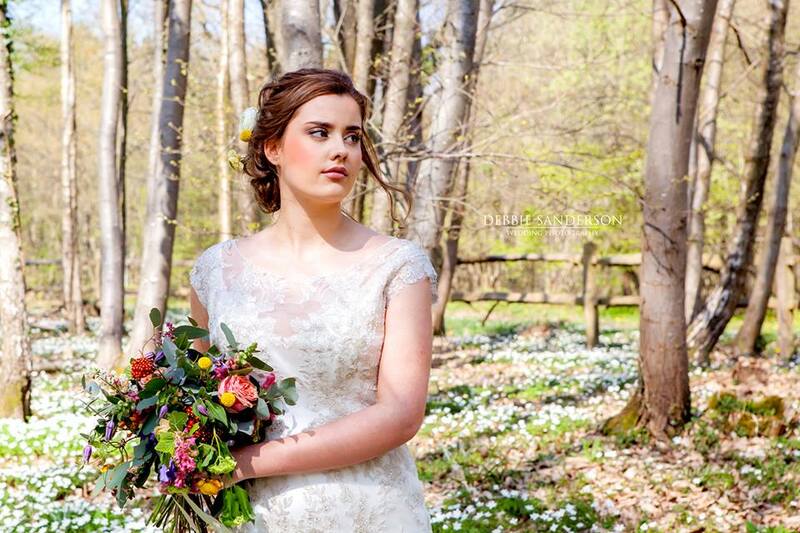 Emily and Dom were recommended to us by their photographer Nikki van der Molen who had worked on a wedding we did last year and here are her lovely images. 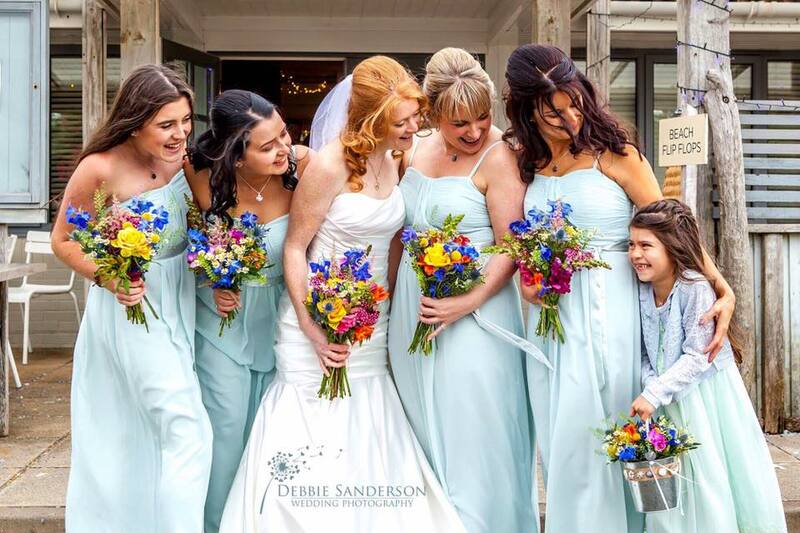 All those girls & all those flowers! 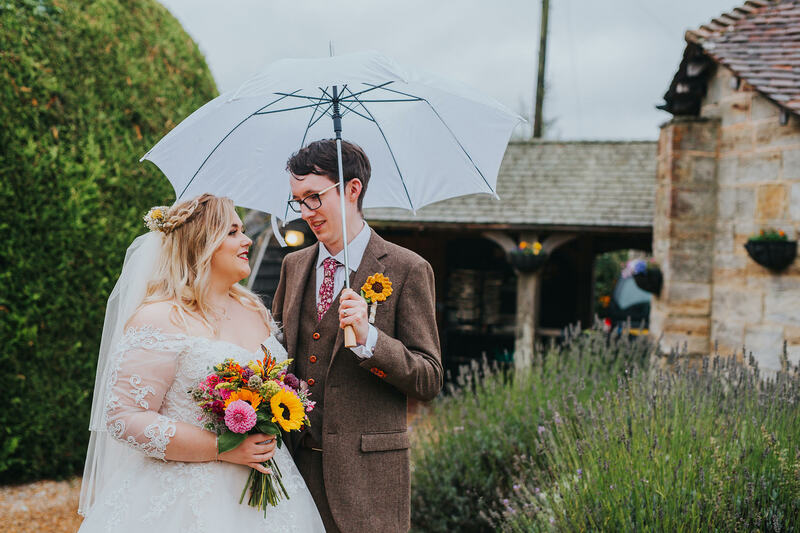 Lisa & Gareth got married even further away in the Cotswolds but they took their flowers with them. 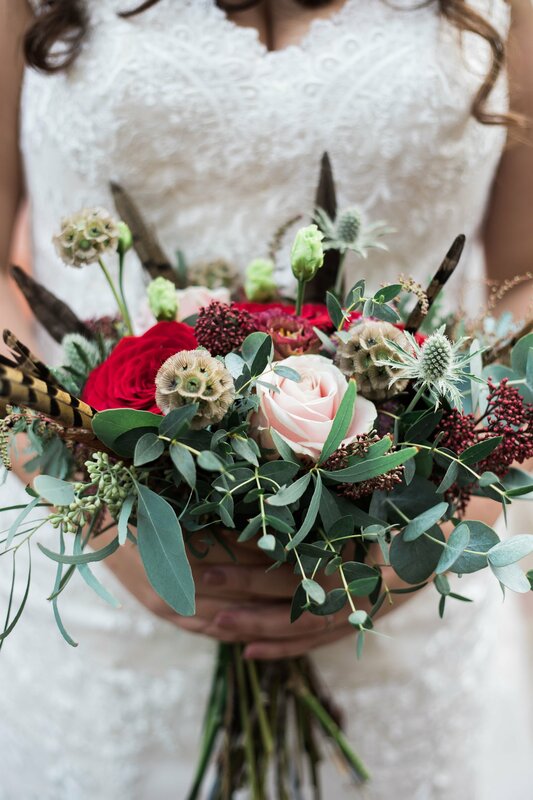 Again the lovely rich shades of Autumn, not forgetting the pheasant feathers! 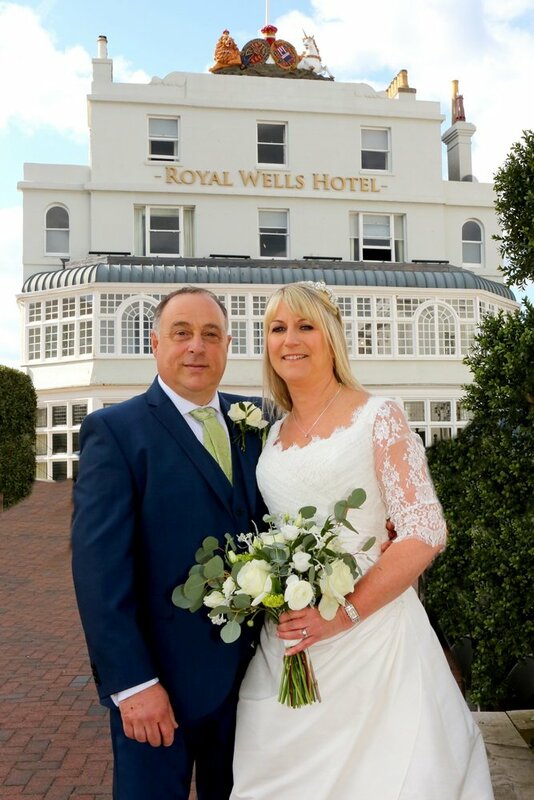 Thanks to Katie Rogers for the photo’s. 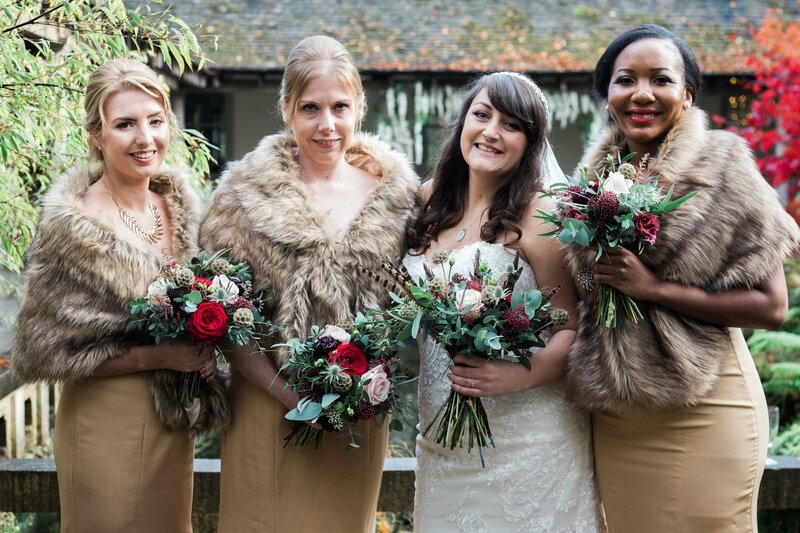 And with the bridesmaids, it is obviously the year of the stole! 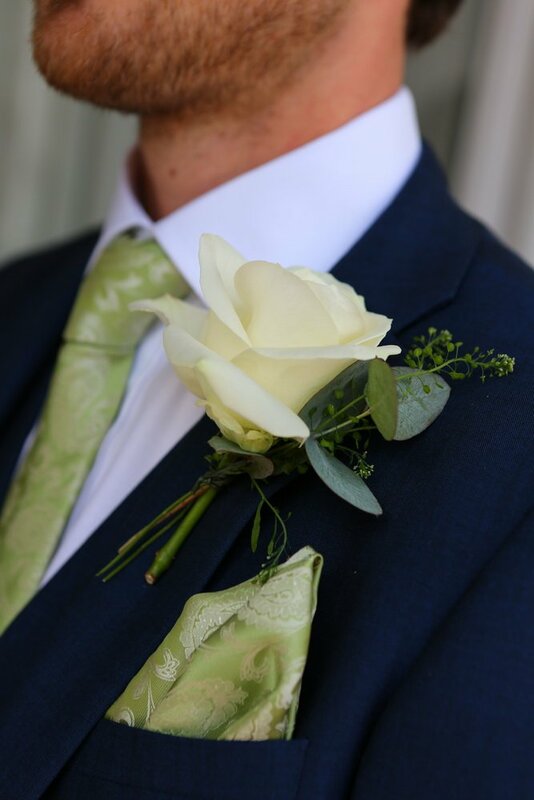 See what I mean about stoles! 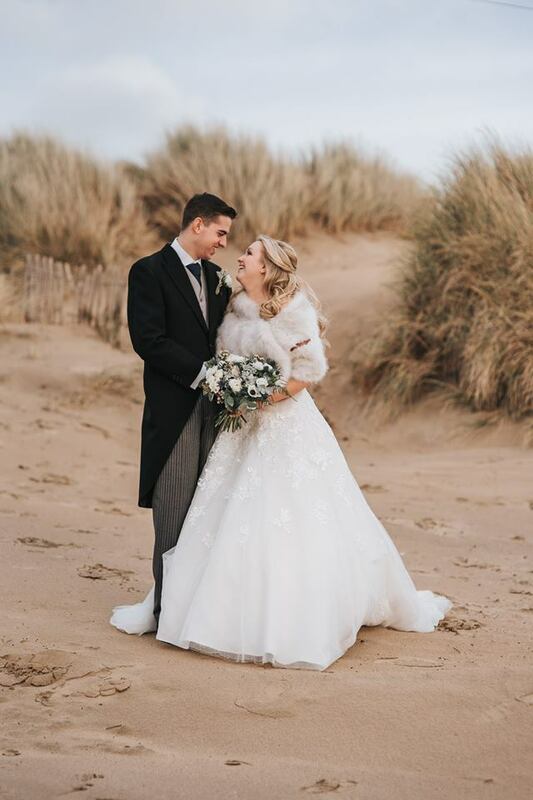 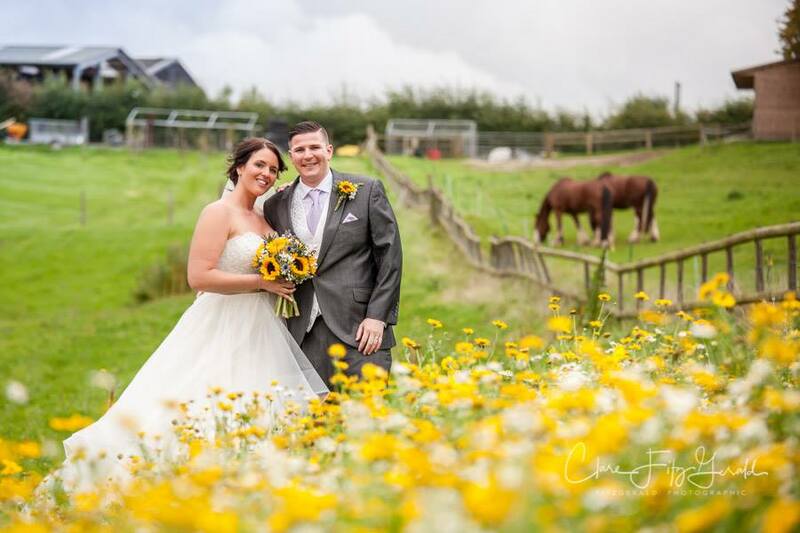 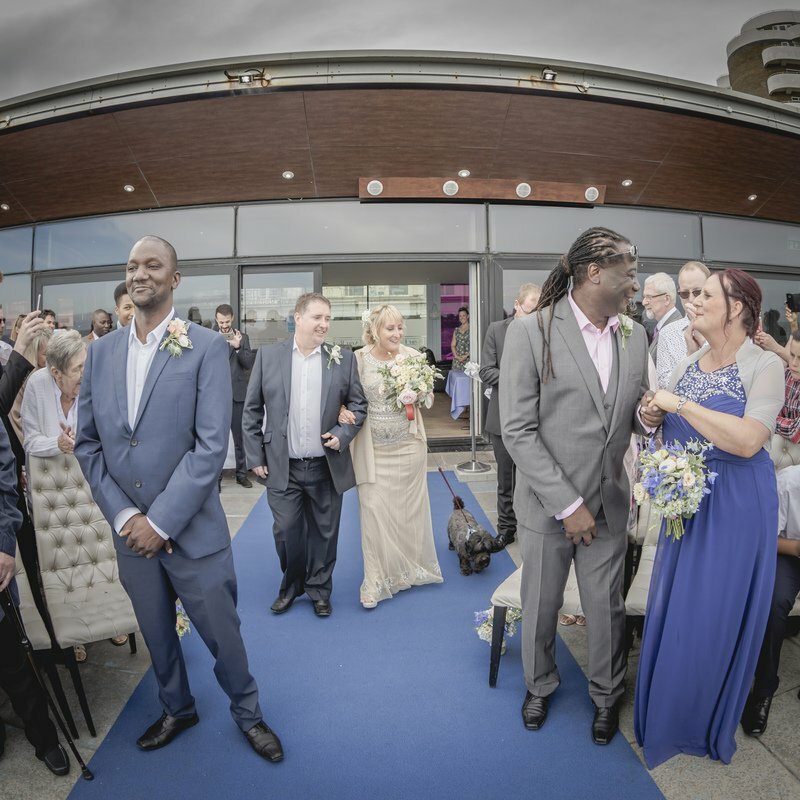 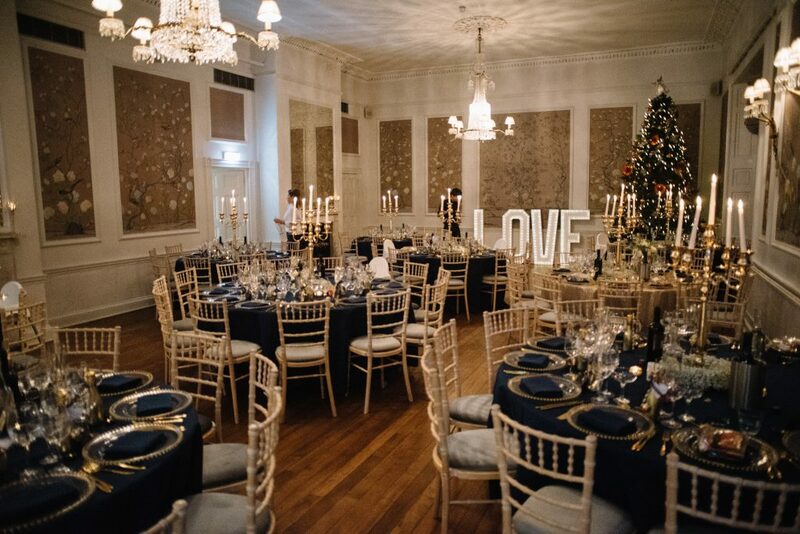 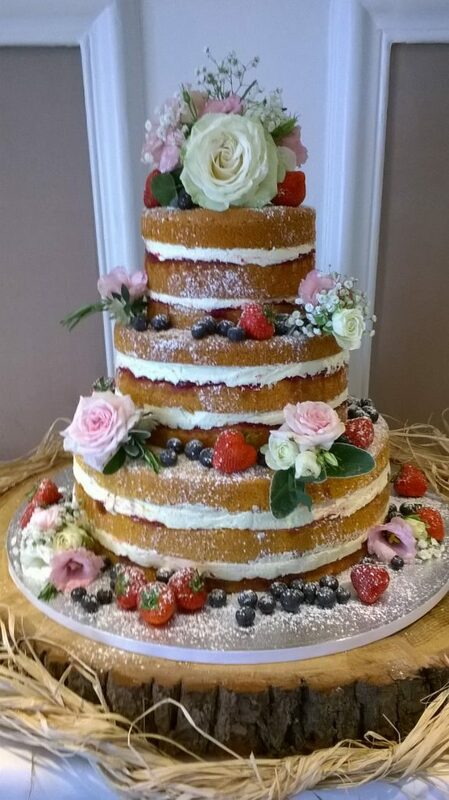 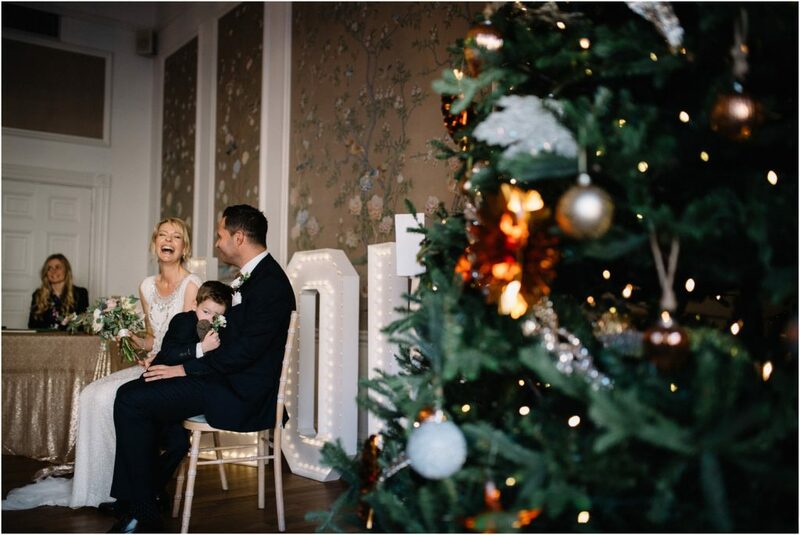 Claire and Joe rounded off the year with their wedding on the 29th December at Strand House – cheers! 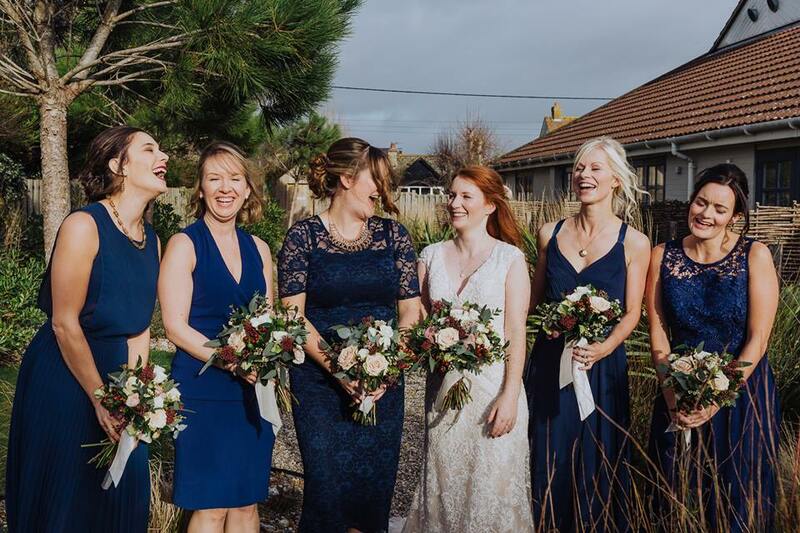 And now I am looking forward to this year’s weddings. 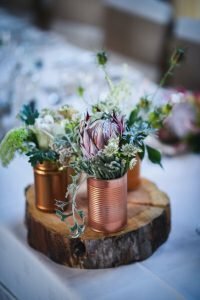 As per usual the current year’s weddings over took reviewing the previous one so here is a quick run through of some of the remaining 2017. 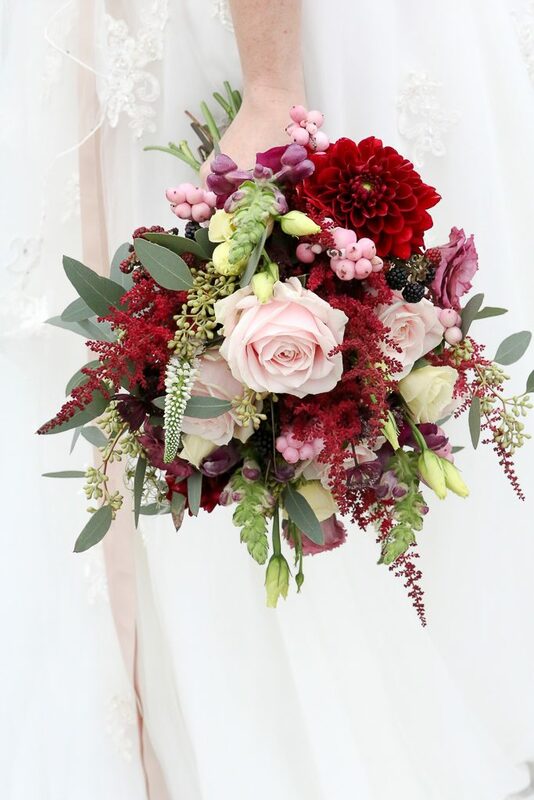 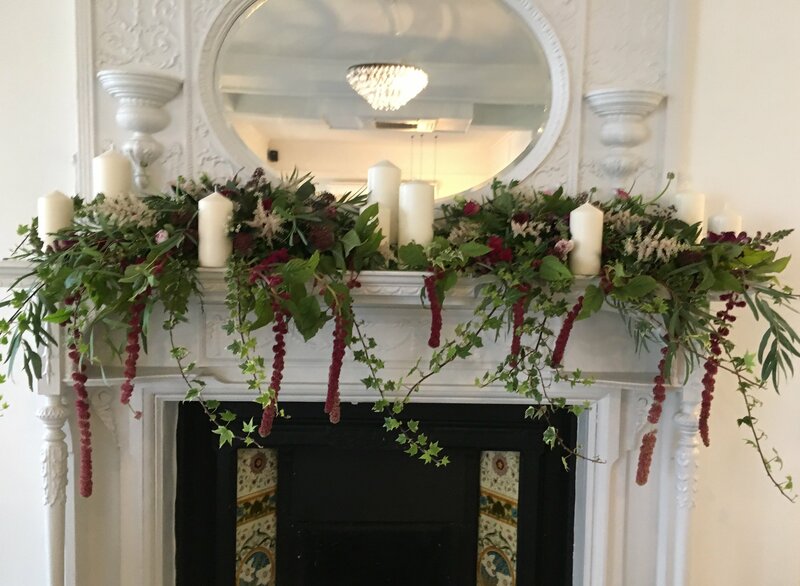 Whites, blush and foliage were predominant with some splashes of colour in Sophie and Marc’s summer brights, Tina and Tom’s sunflowers, Chloe and Mark’s late summer mix and then there was burgundy for Autumn before returning to winter whites for December. 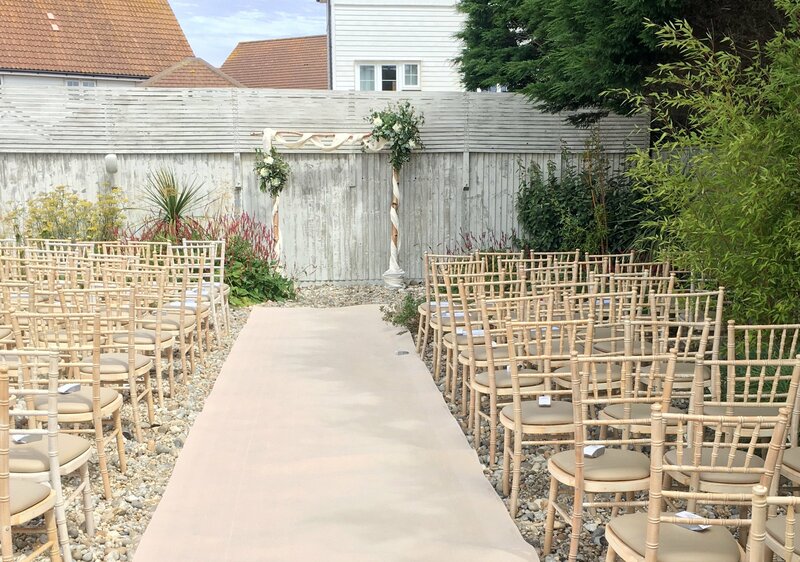 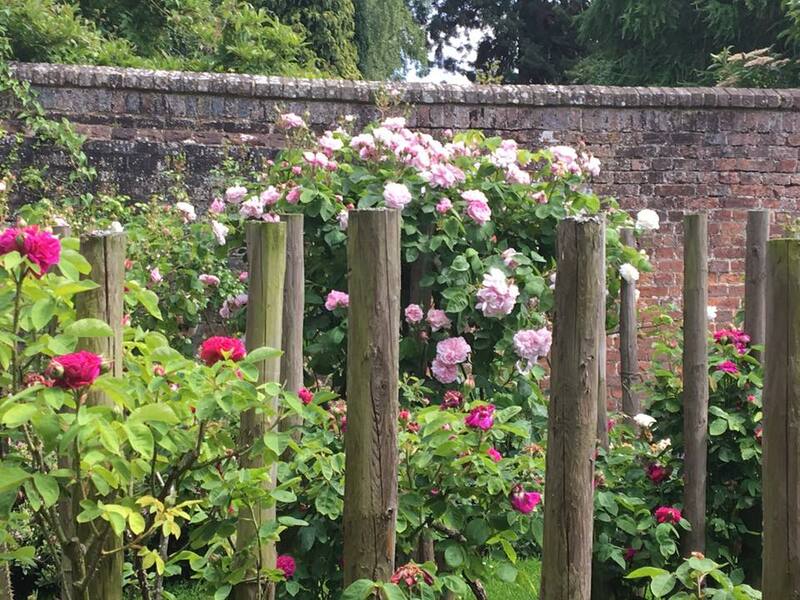 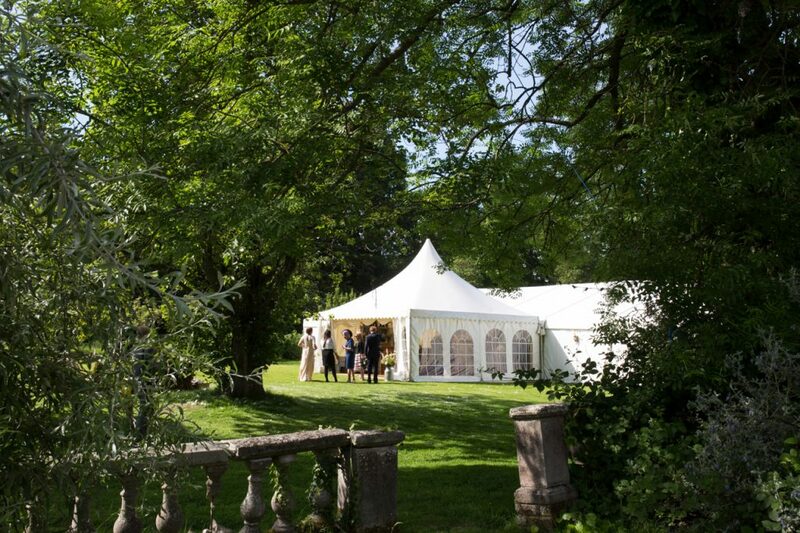 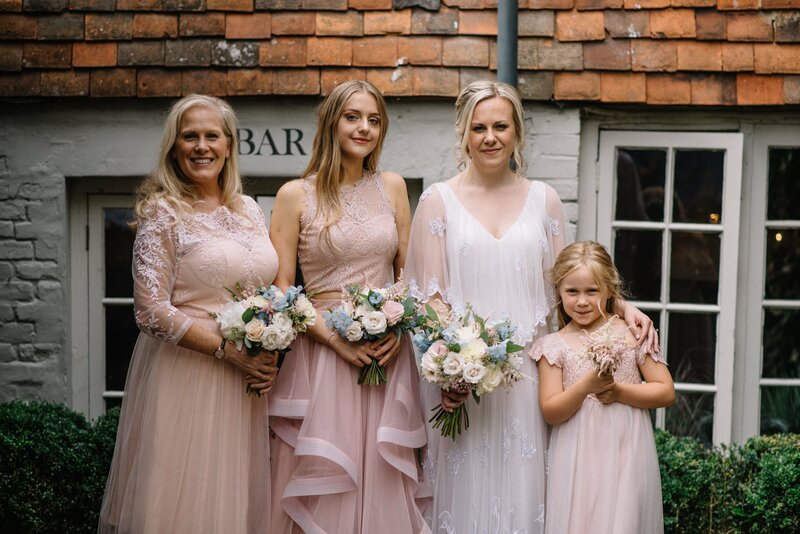 We were in a number of venues – The George in Rye, The Gallivant at Camber, Strand House in Winchelsea, Swallows Oast in Ticehurst, Wadhurst Castle, Blackstock Barn, Hendall Manor, Otham Court near Polgate, High Billinghurst Farm, Surrey, Royal Wells Hotel, Tunbridge Wells, Battle Abbey School, The Schools at Summerhill, Tonbridge, along with a garden wedding in Mayfield. 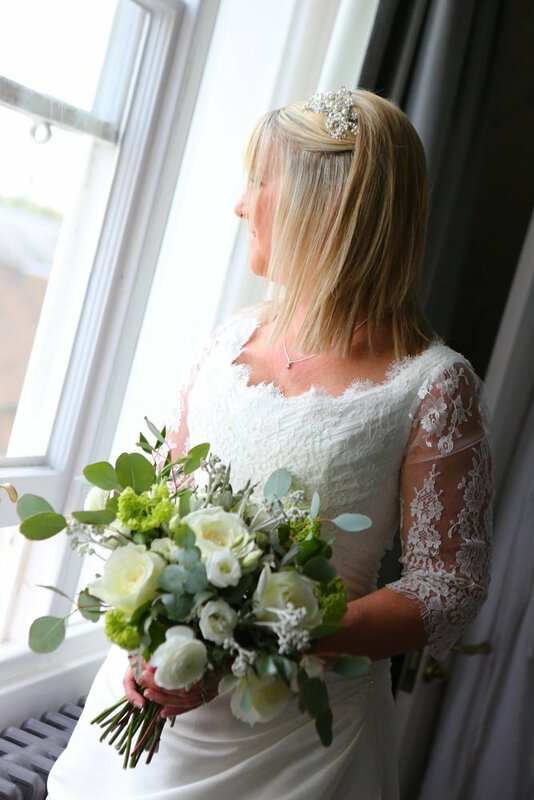 Brilliant shot of Jo and her veil! 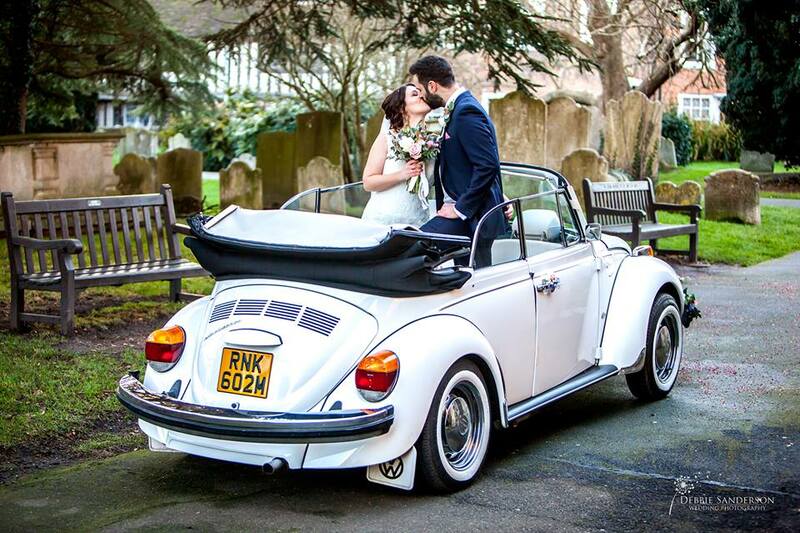 Jessica & Mark in the beetle! 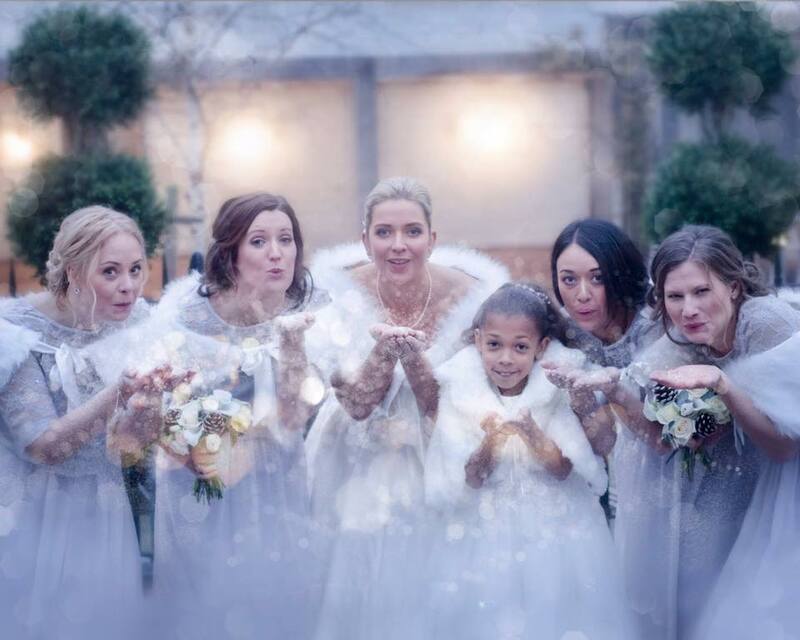 Ana & all her girls! 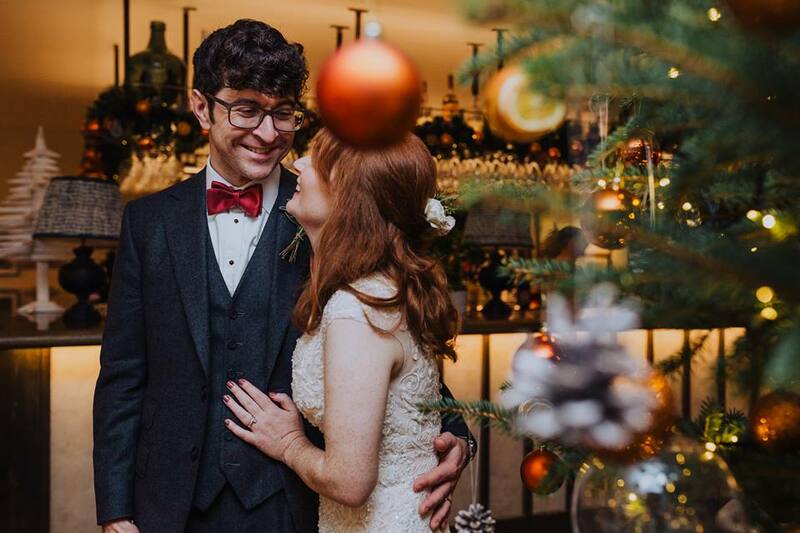 And that wedding was on New Year’s Eve so very much the end of the year. 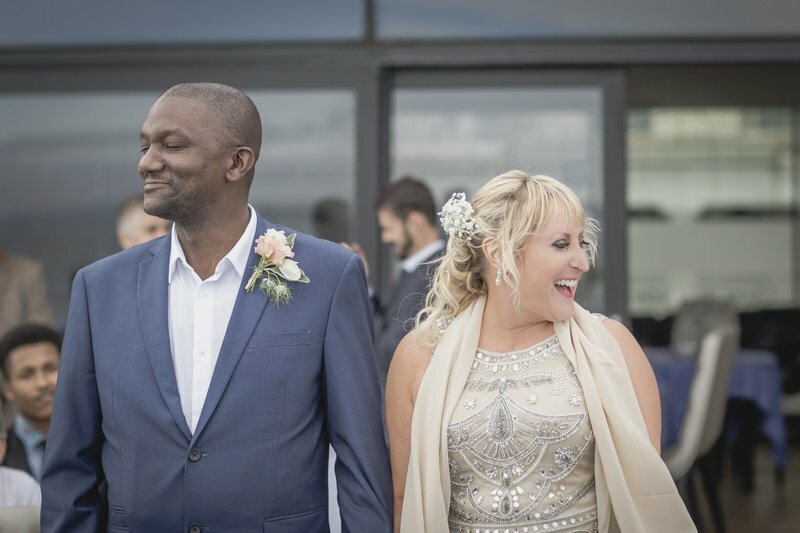 I just had to share this story as it goes to show you should have the wedding you want rather than what is expected. 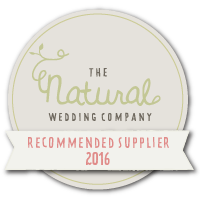 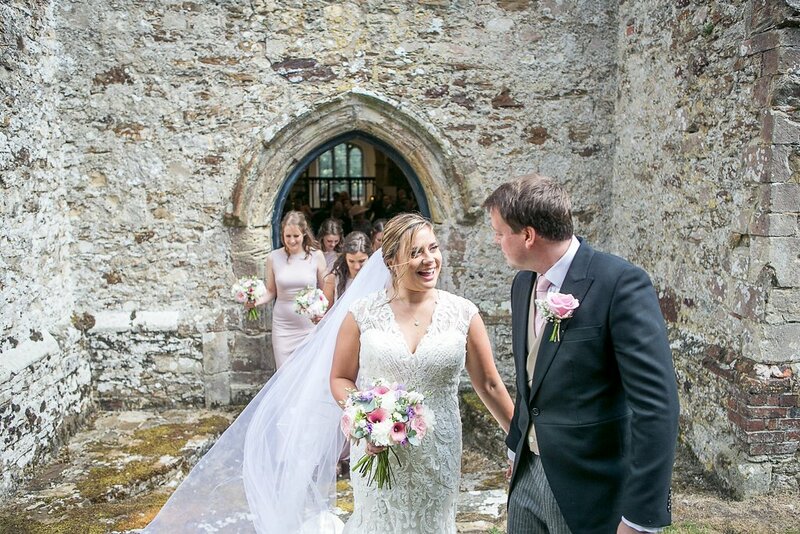 I first met Sarah and Damon at a wedding fair in April 2016 and we had a meeting at their chosen venue Bodiam Castle in the May. 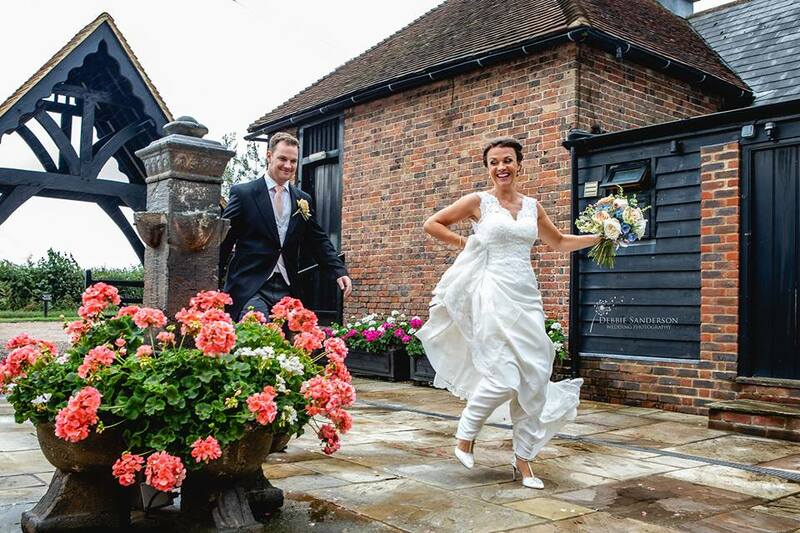 There were plans for Sarah to arrive by boat and Damon to parachute in! 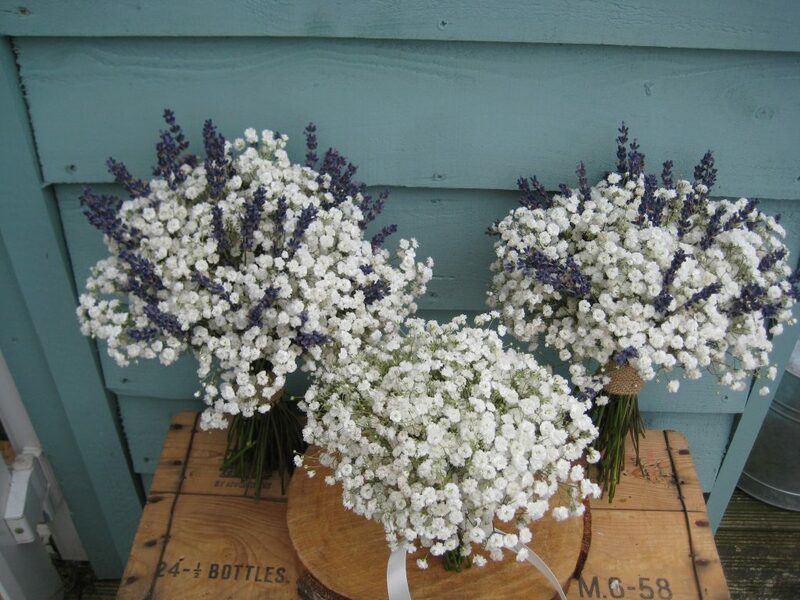 Flowers were to adorn the bridge over the moat and of course the usual bridesmaids, buttonholes and table flowers. 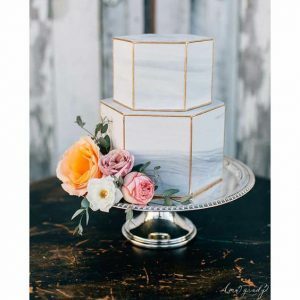 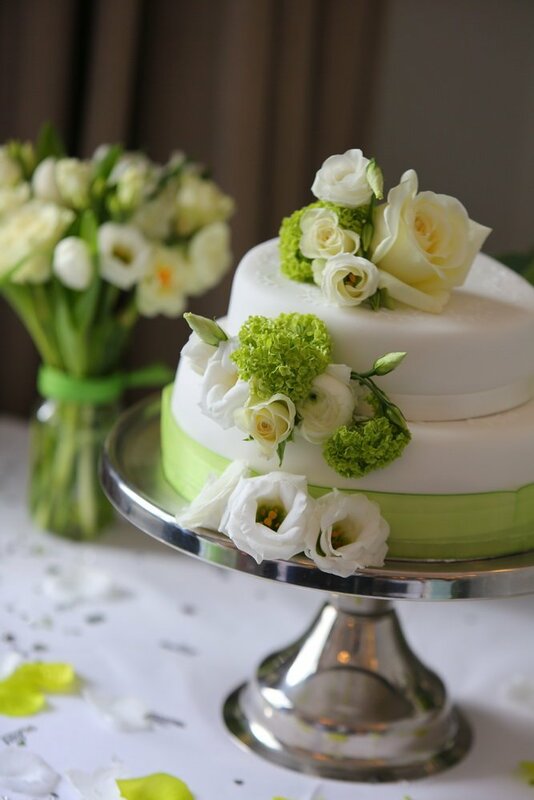 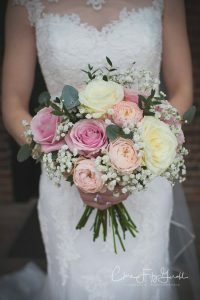 A quote was sent and approved and as is often the case a lull in communication followed as further details are not required until nearer the wedding. 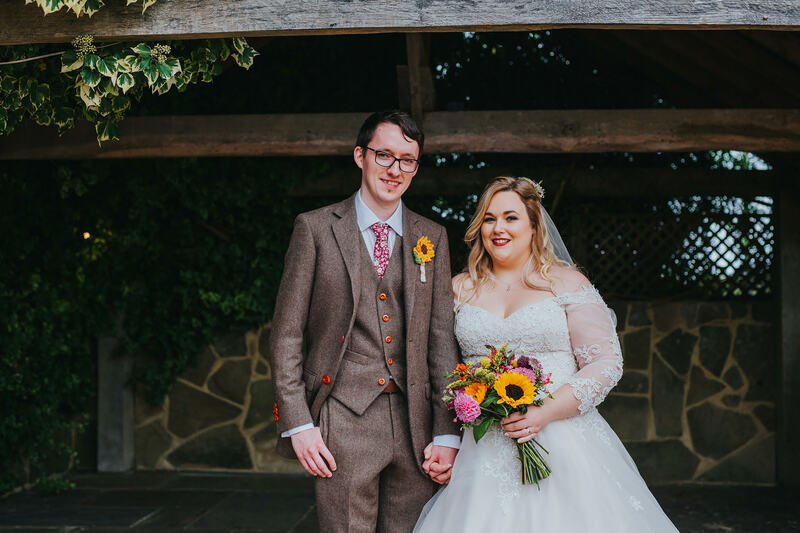 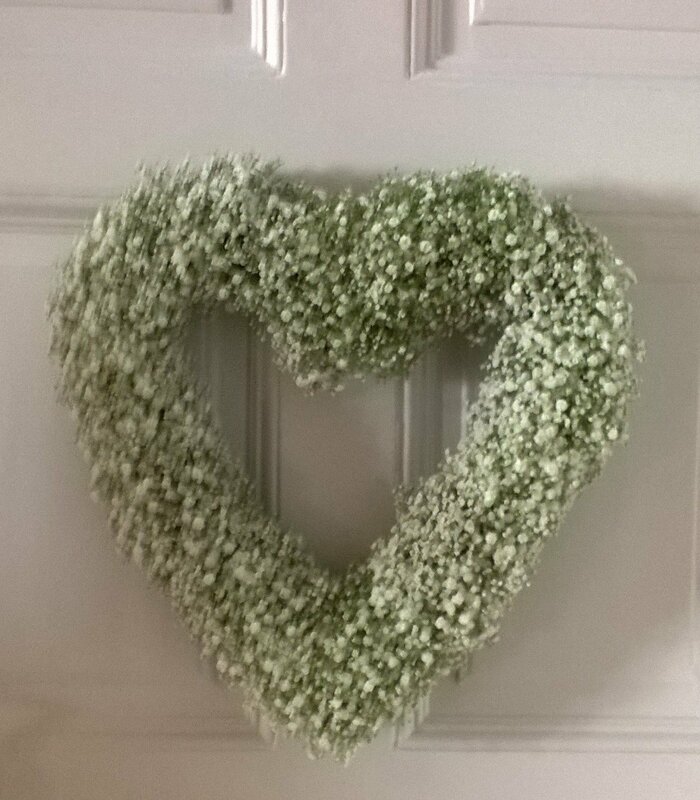 I do like to keep in touch with couples so in January 2017, the year of the wedding I emailed Sarah to see how their plans were coming along and this is what I received back – ‘We have slight change to arrangements as we got married in Gretna Green’ Well I wasn’t expecting that! 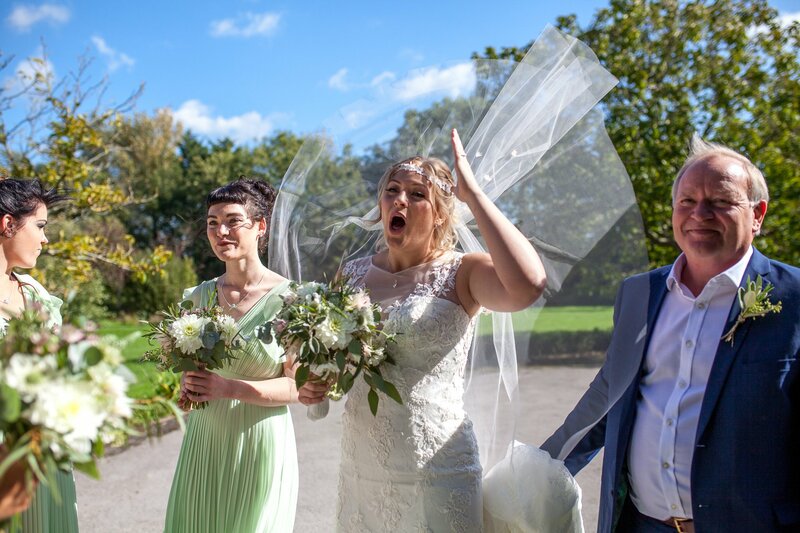 Sarah explained they felt the wedding planned had become too far removed from what they really wanted so just decided to go and get hitched. 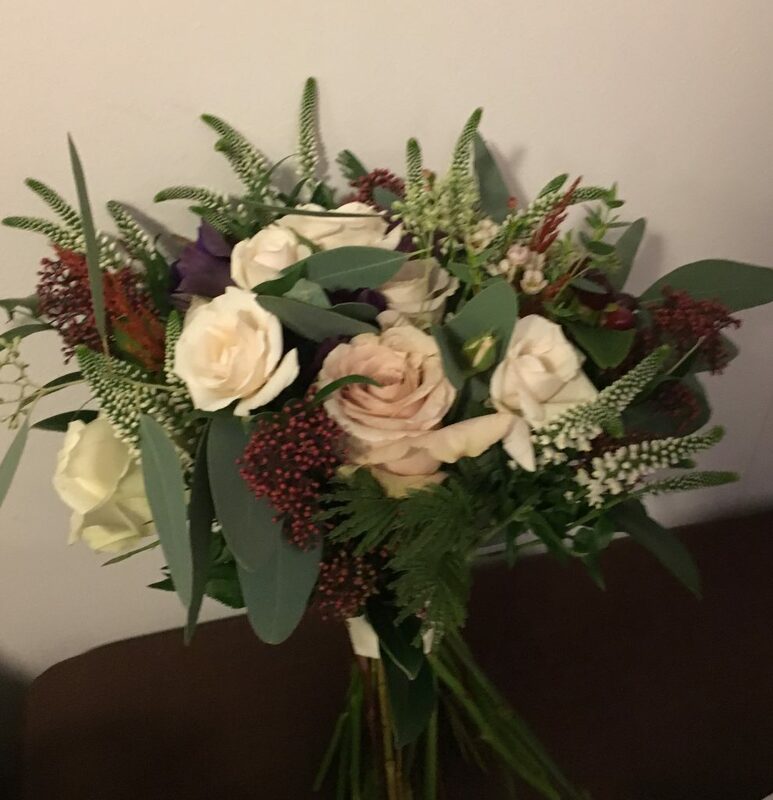 You can see from the photo below that was on the 7th October 2016. 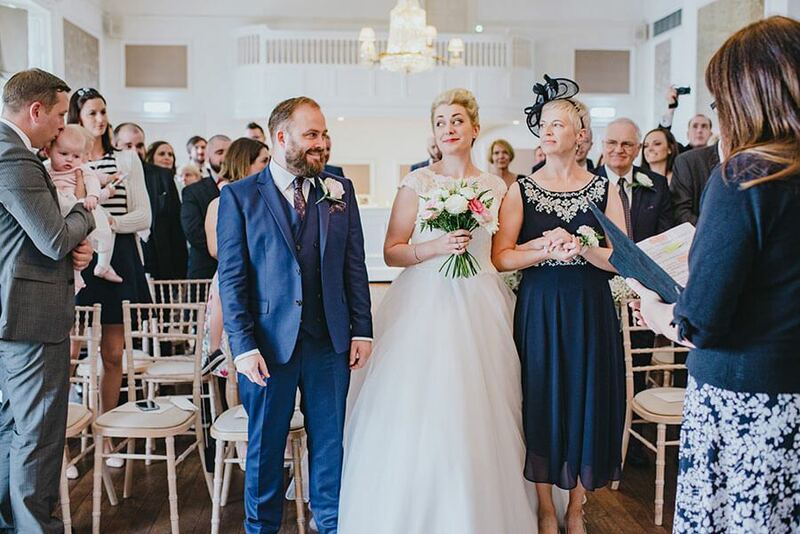 They were still going to have a blessing and reception for friends and family on the original date but more local (St. Leonards on Sea) and low key. 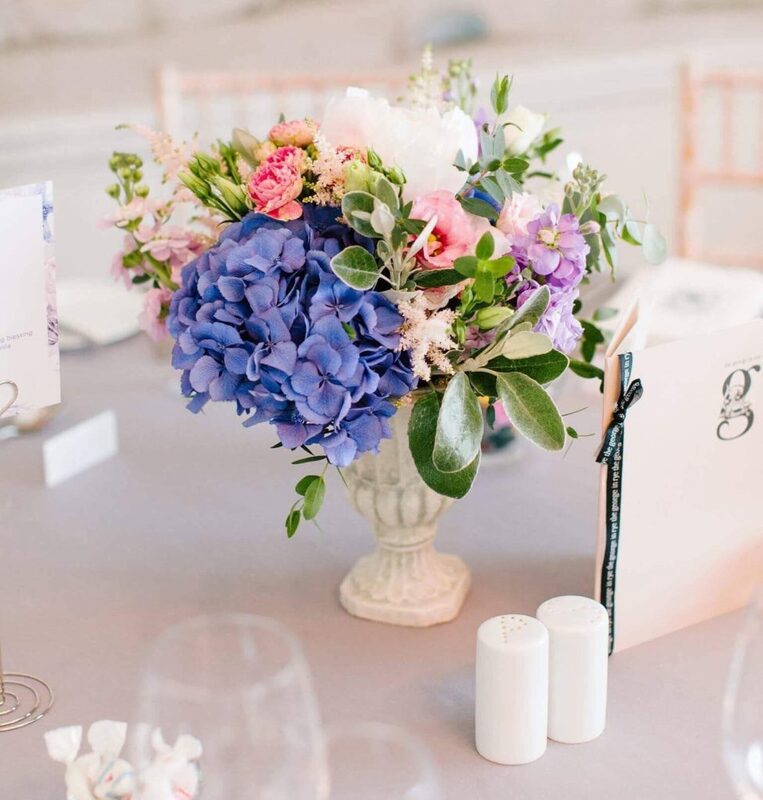 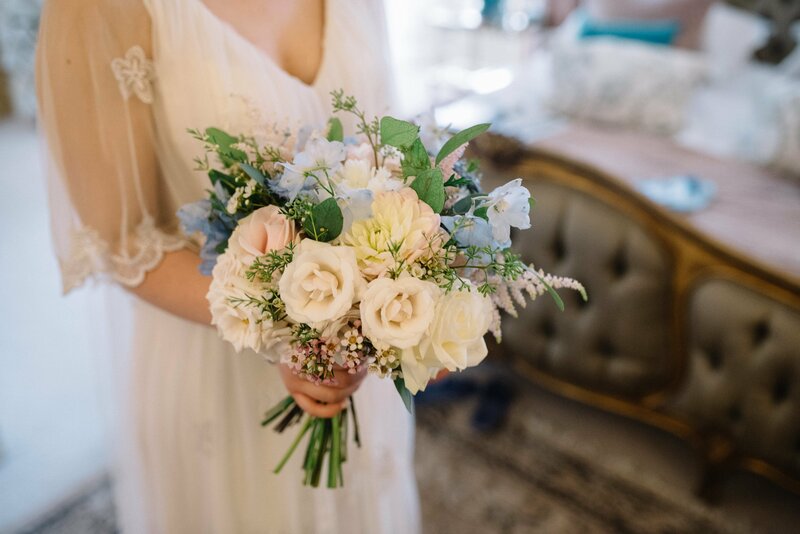 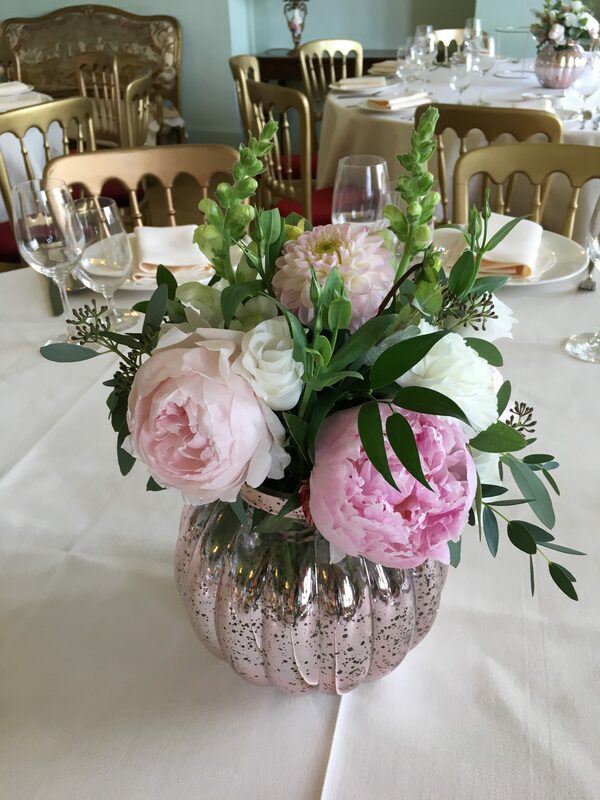 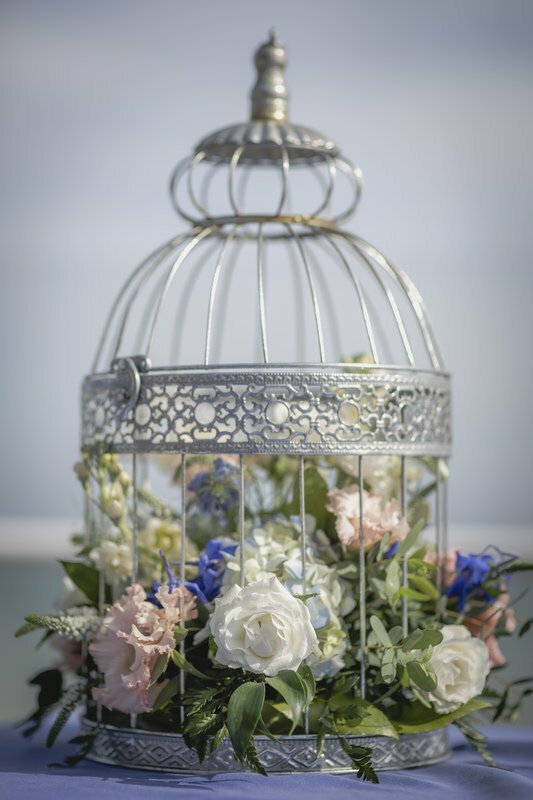 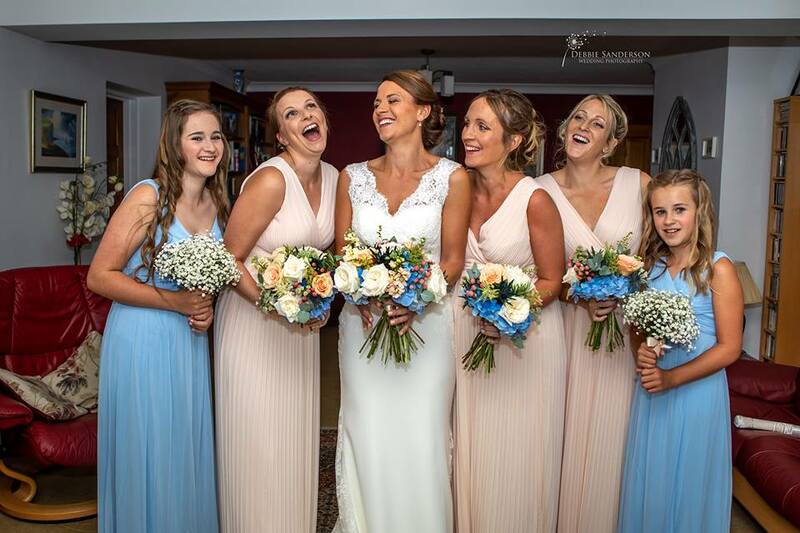 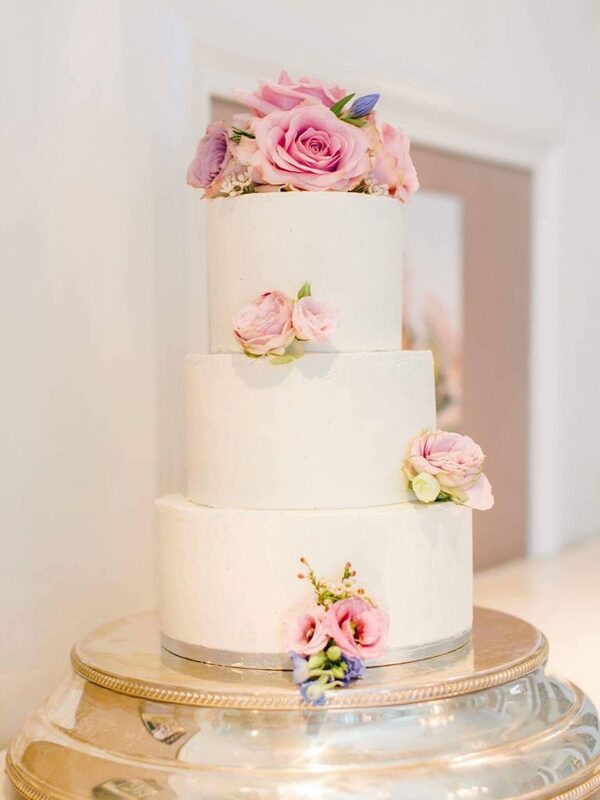 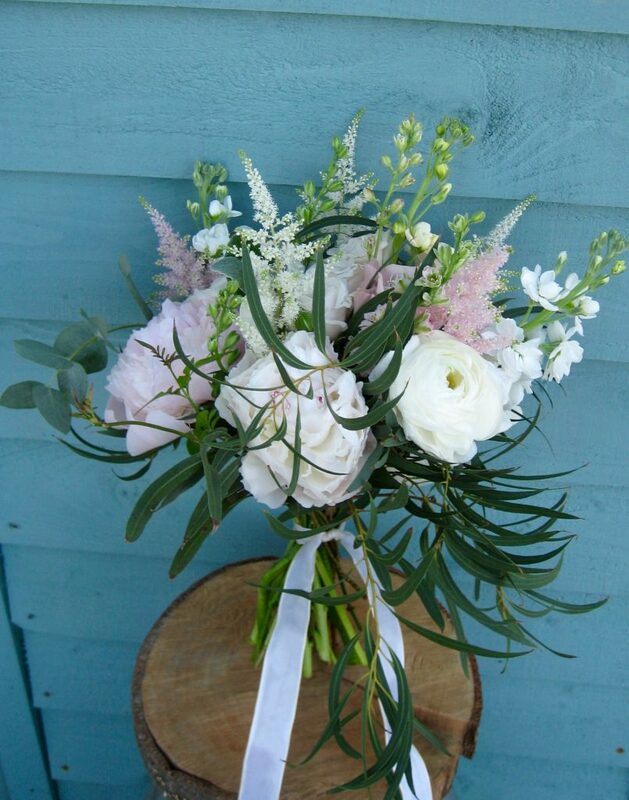 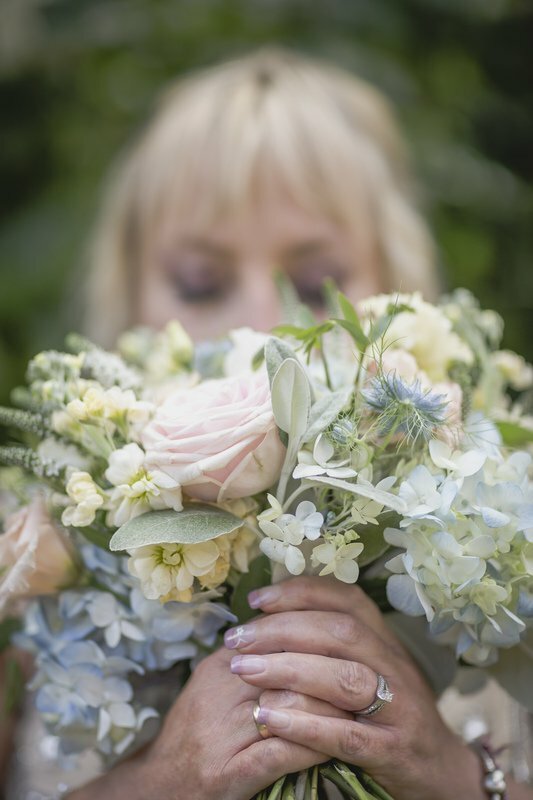 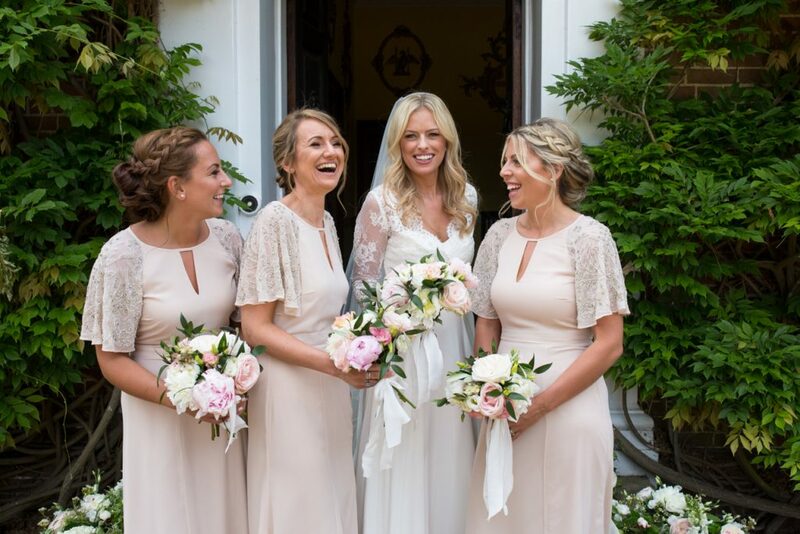 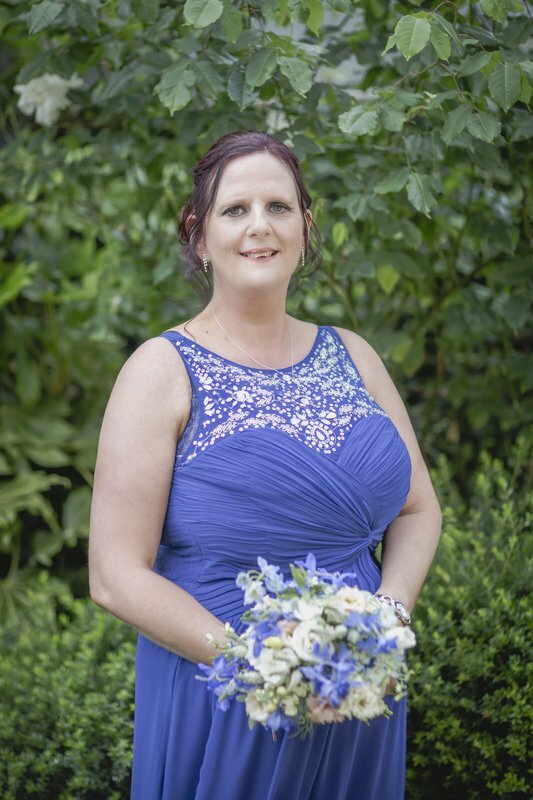 The colours and flowers were the same, summer pastels in tones of peachy pink, pale blue and cream with a touch of deeper blue for the maid of honour. 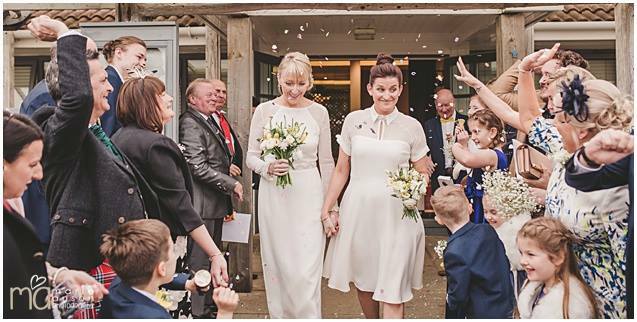 Looks like they had a great time and should be a lesson to all, it’s your day so have the wedding you want and not what other people impose. 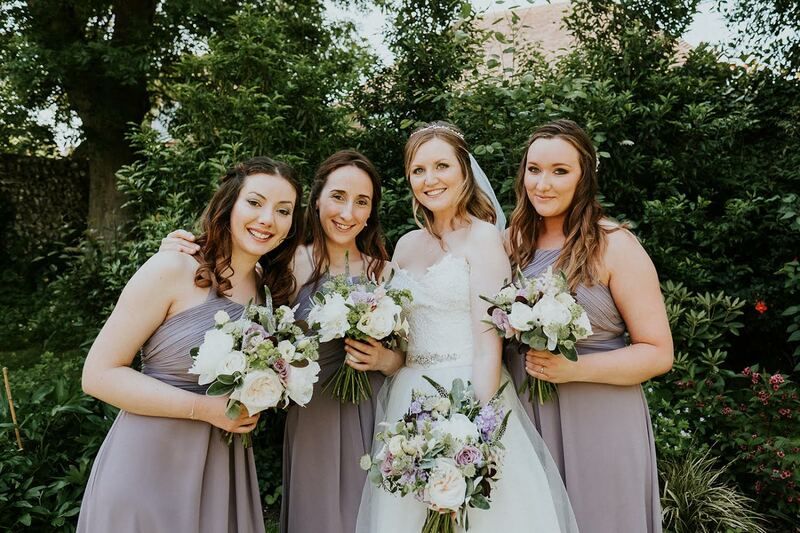 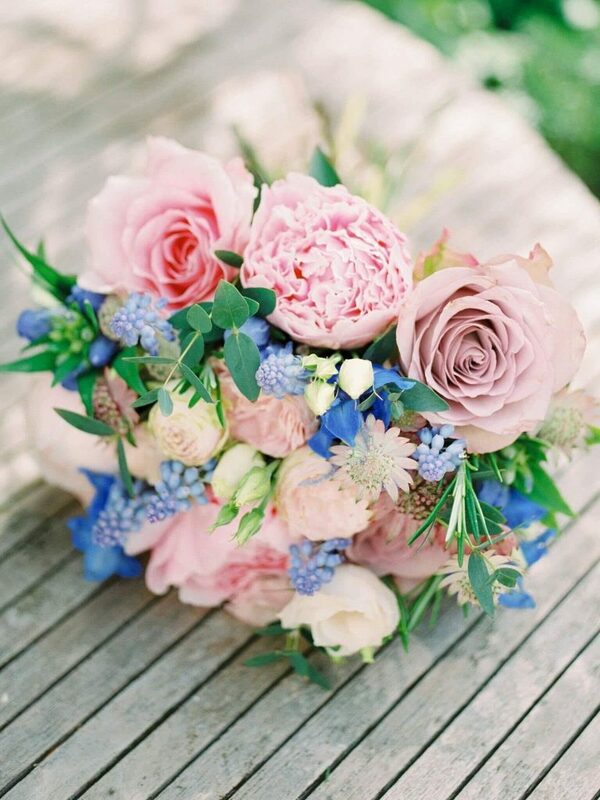 Bouquet of hydrangea, stocks, roses, veronica, nigella and delphinium for the bridesmaid. 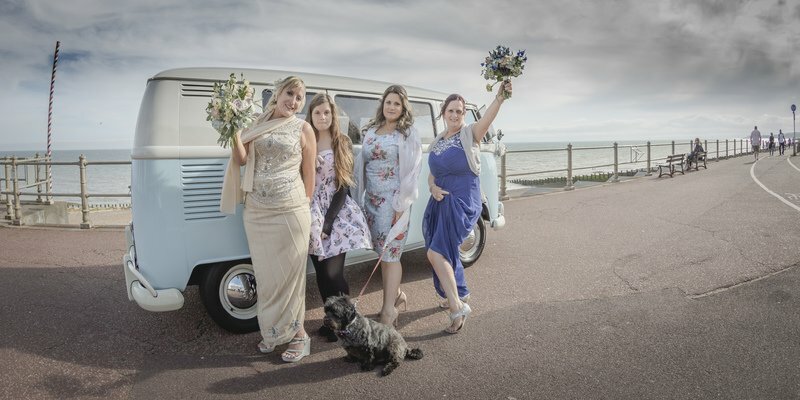 The girls, dog and camper! 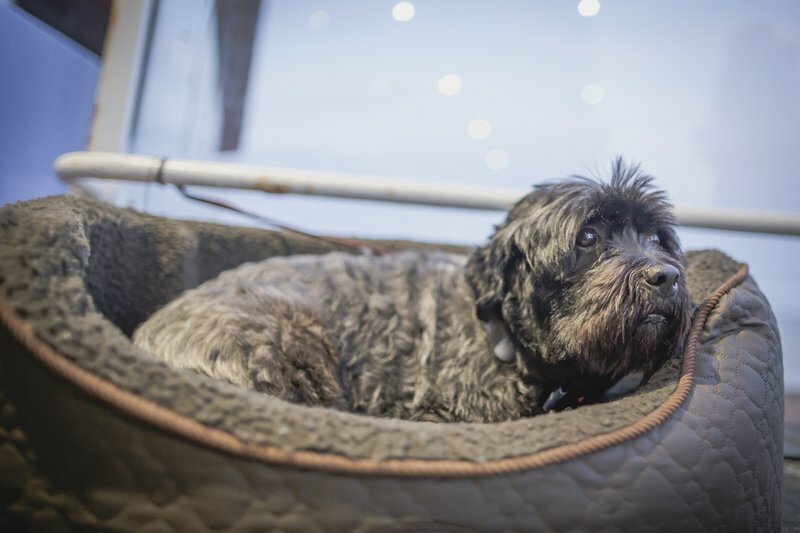 And we mustn’t forget the special guest! 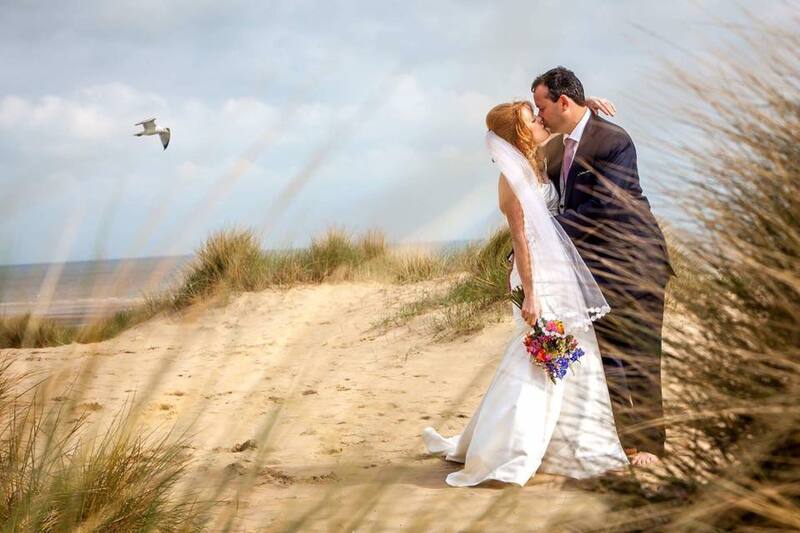 Lovely shot of Sarah & Damon to end the story. 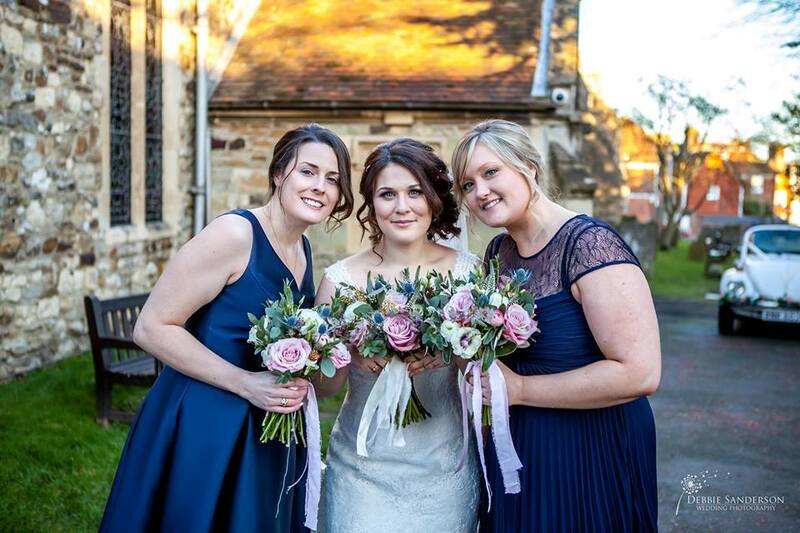 Thanks to Maria of Ebourne Images for all the lovely photo’s. 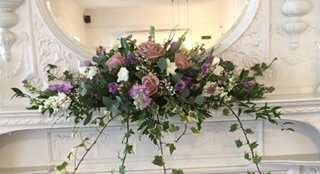 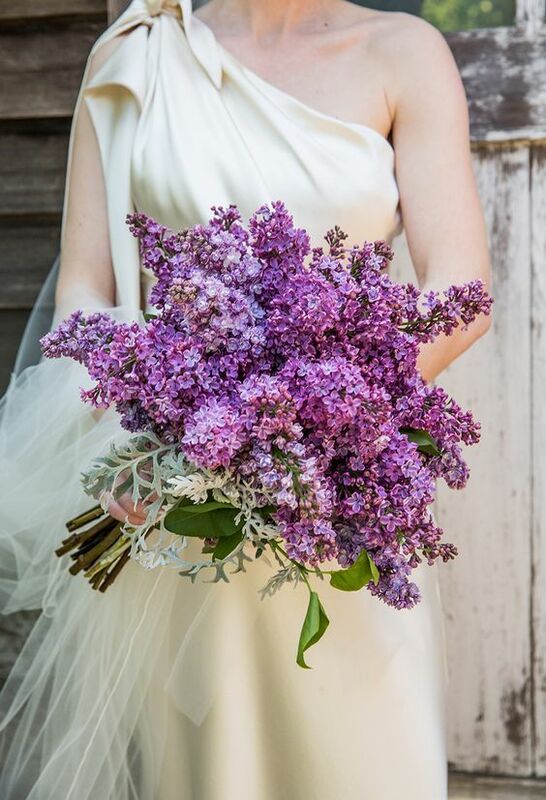 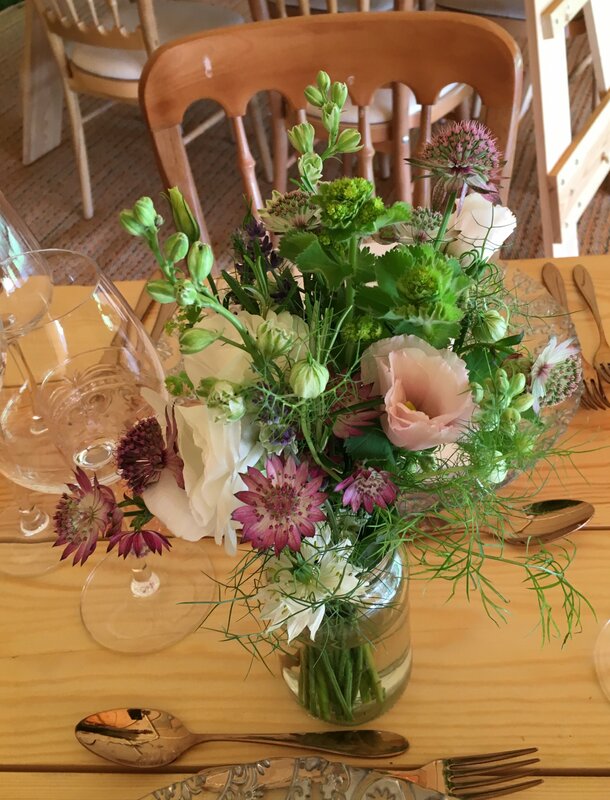 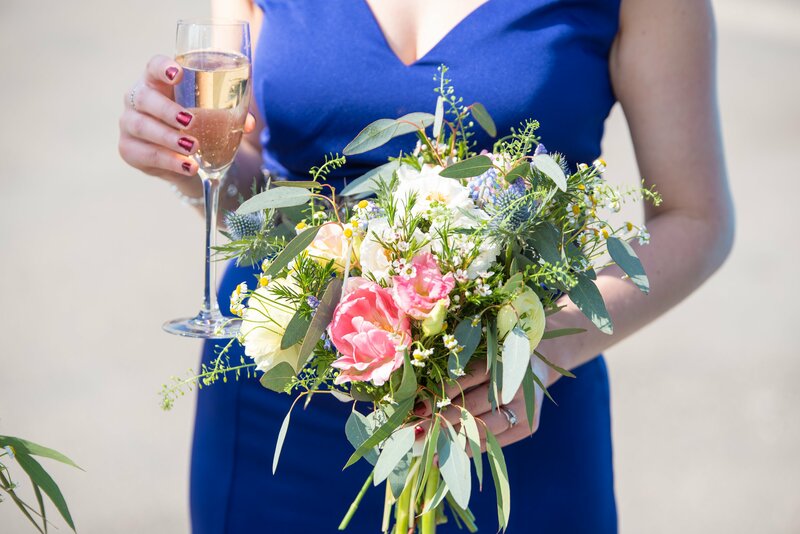 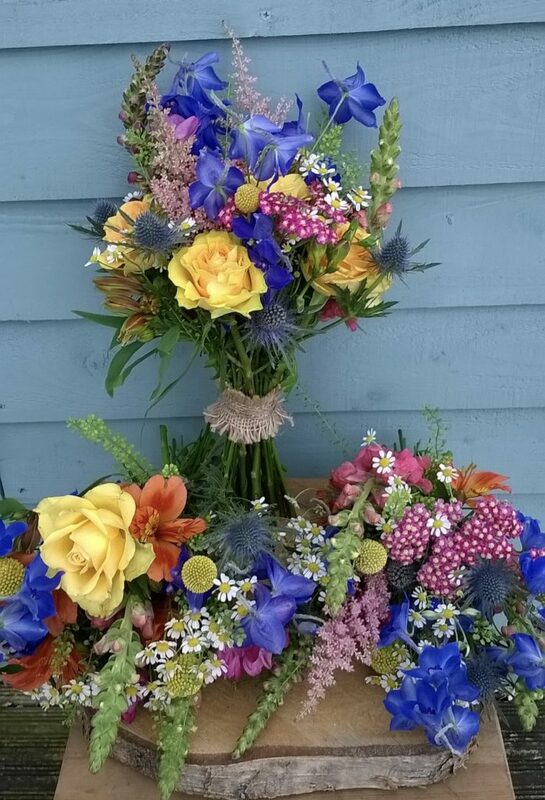 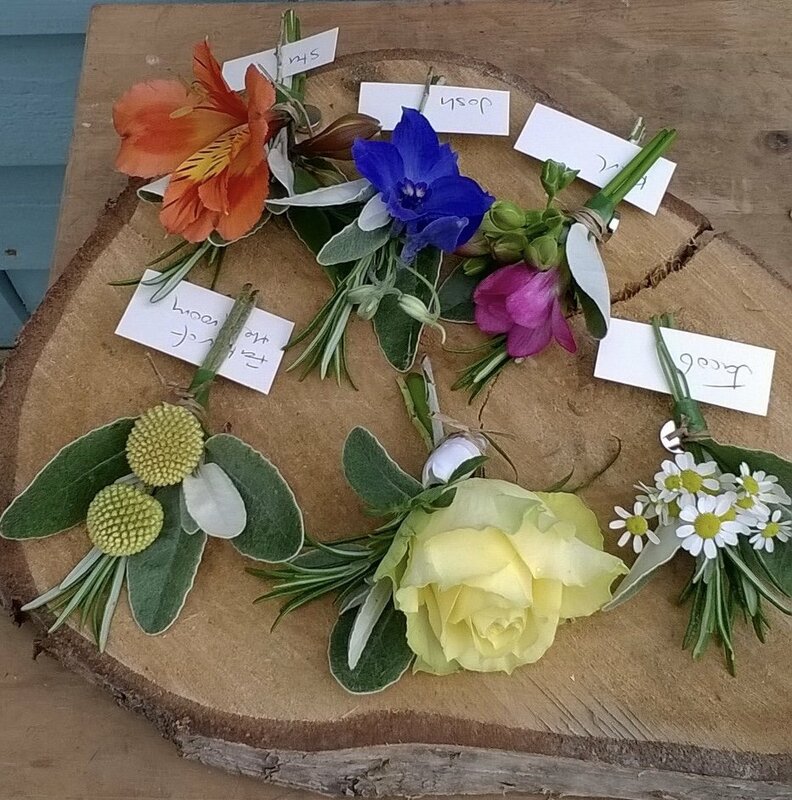 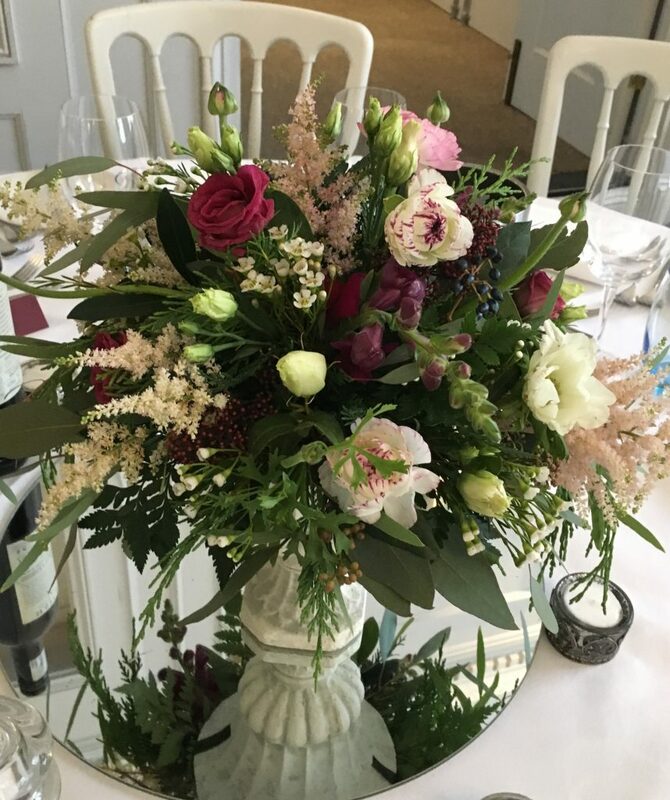 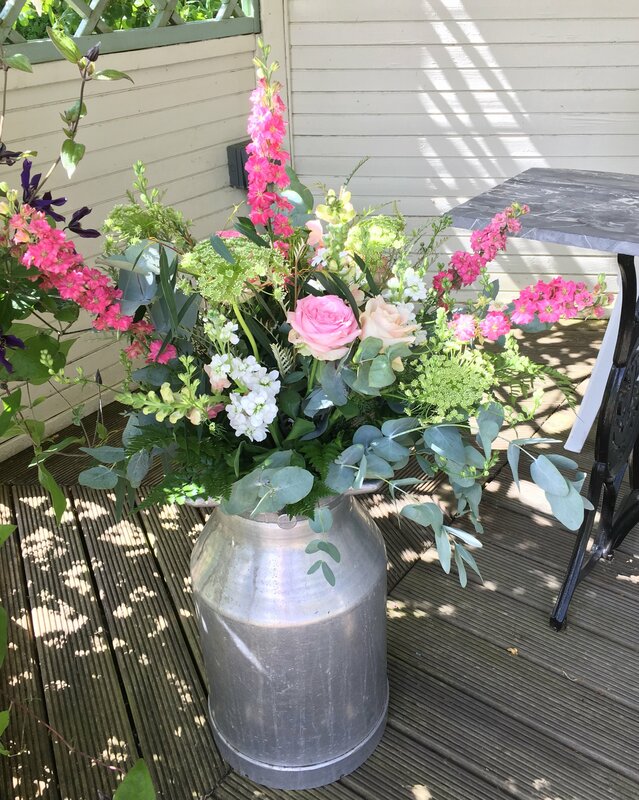 We then had some very colourful weddings, Louise and James again at The Gallivant with a real vibrant mix of delphinium, achellia, astilbe, alstromeria, thistle, freesia, craspedia, roses, feverfew, green bell and the list goes on! 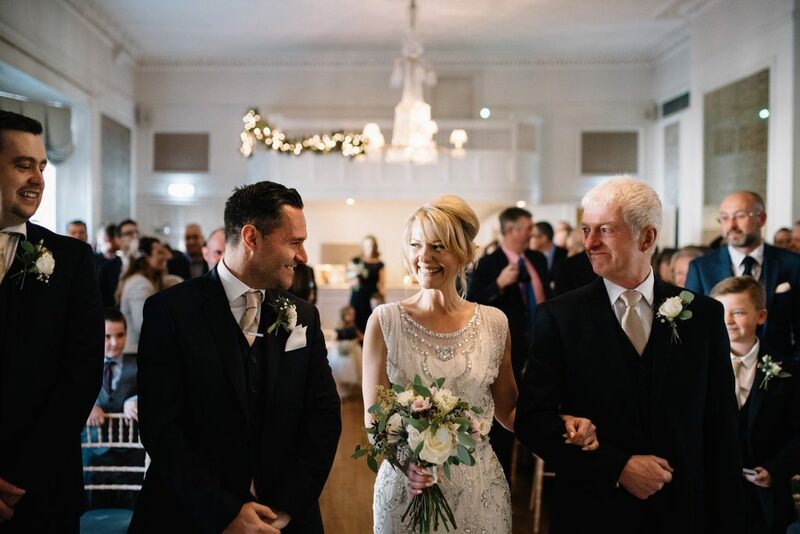 Thanks to Debbie Sanderson for those lovely photo’s. 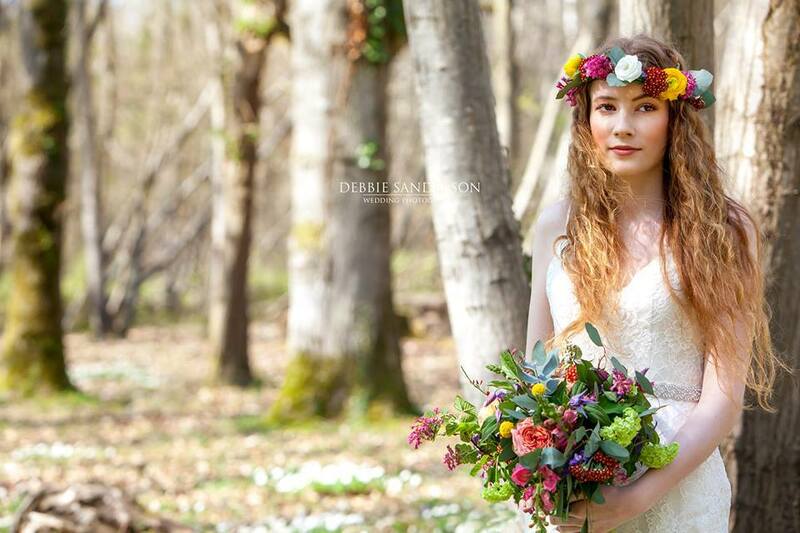 We also had the privilege of doing a photoshoot in April with Debbie. 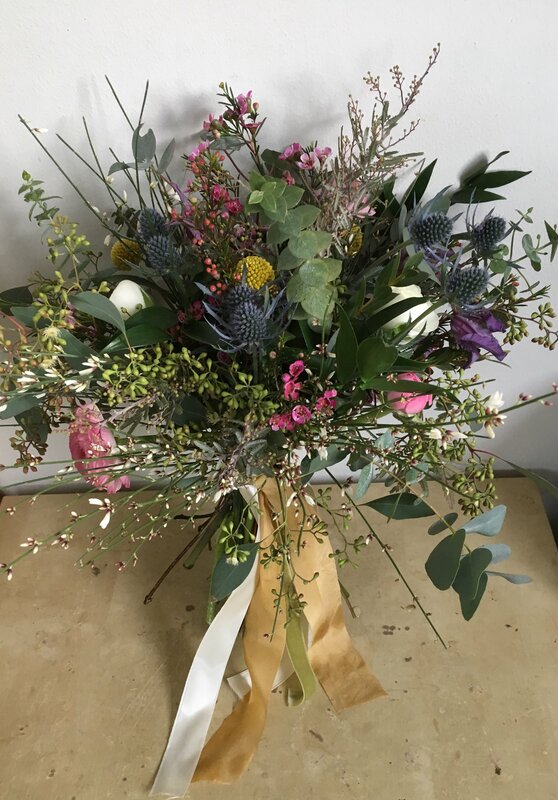 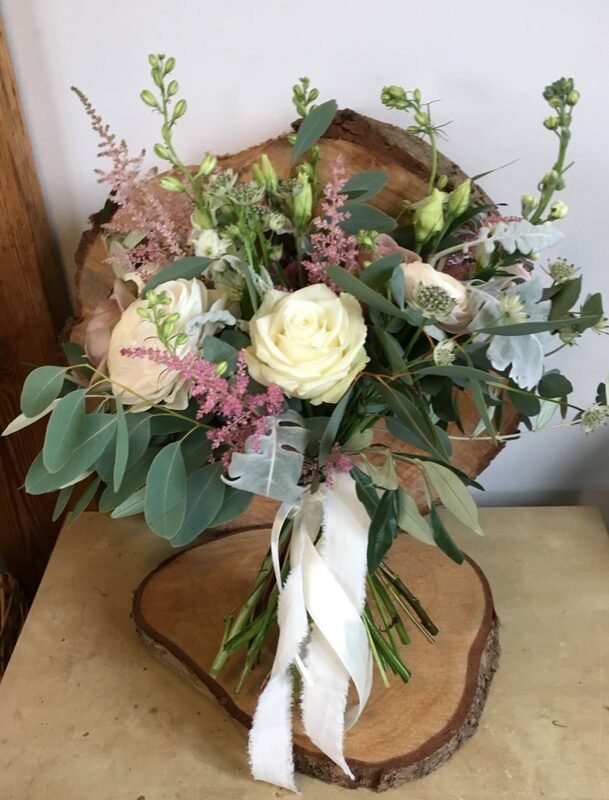 A different vibrant mix with guelda rose, Wild Look roses, ranunculus, craspedia and eucalyptus foliages. 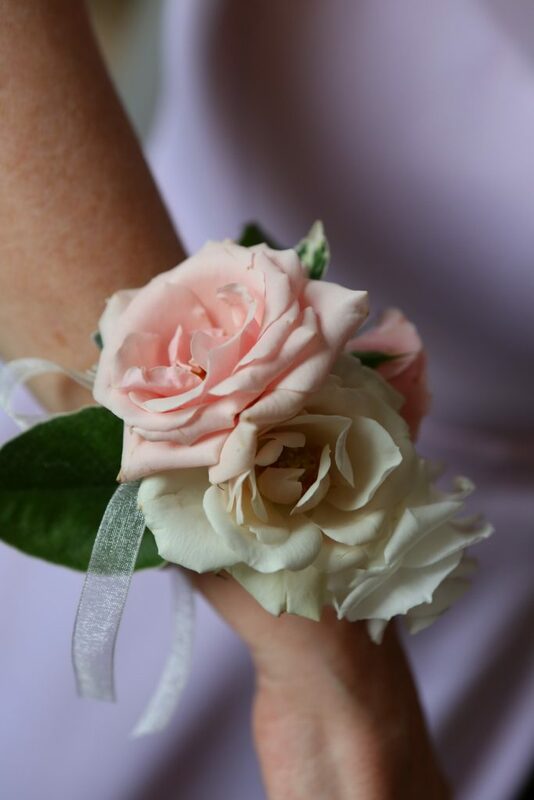 Another wedding at The Royal Wells Hotel in May went for blush and ivory with the bride choosing a wrist corsage. 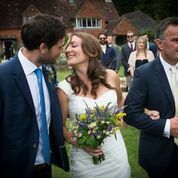 It’s that time again at the start of a new year when there is a bit of a lull and therefore time to look back over the last year. 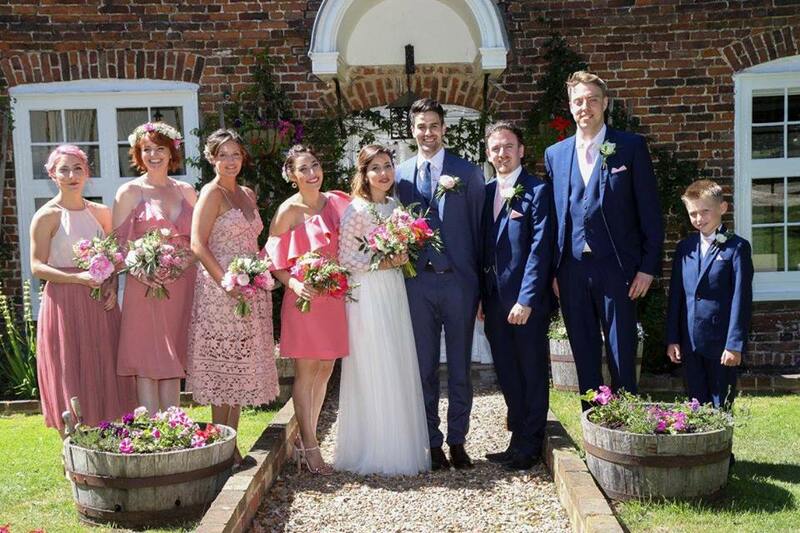 It was certainly a busy one right up to the end. 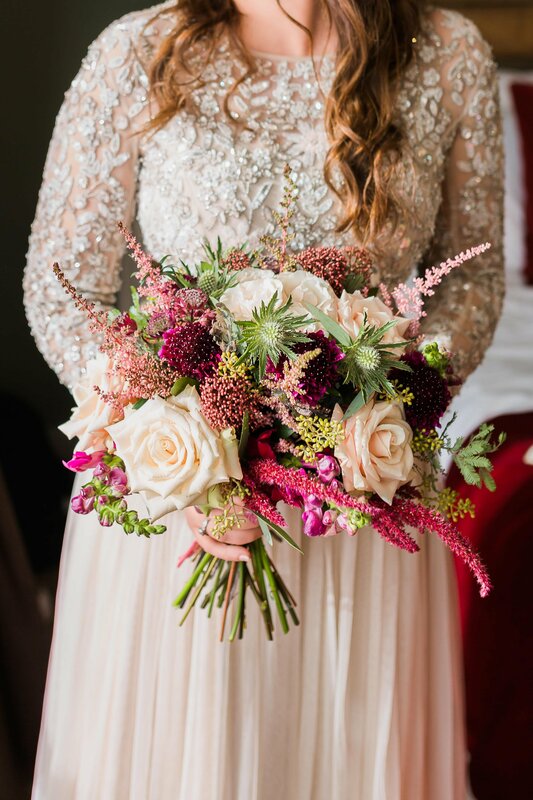 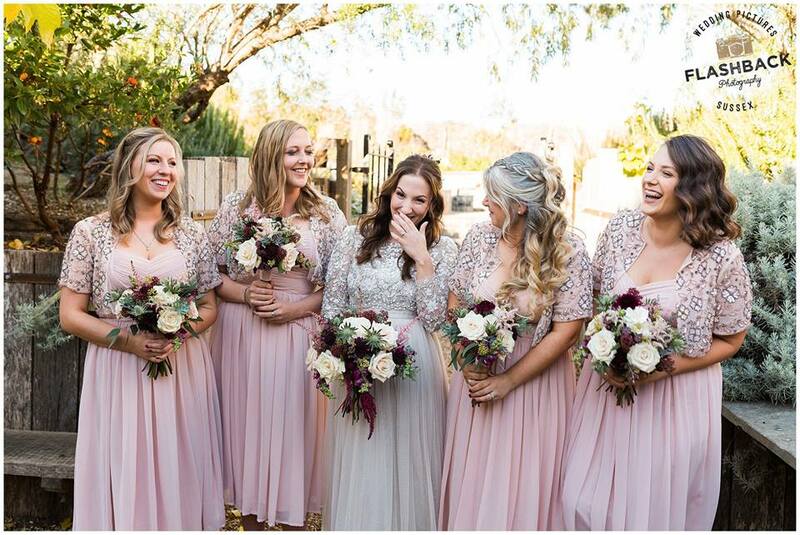 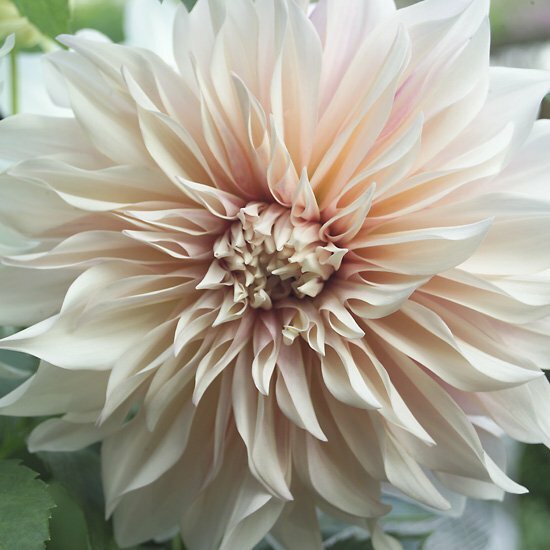 Blush was certainly popular along with greens and whites. 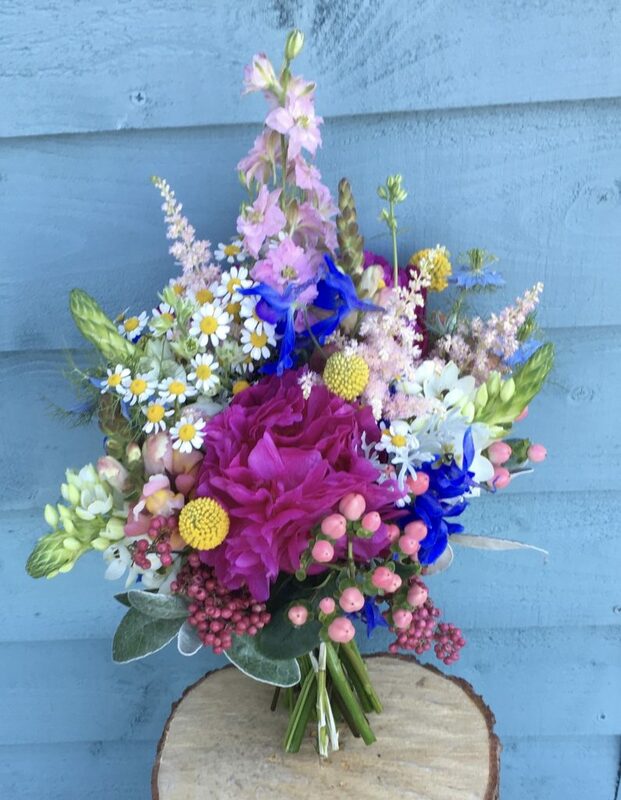 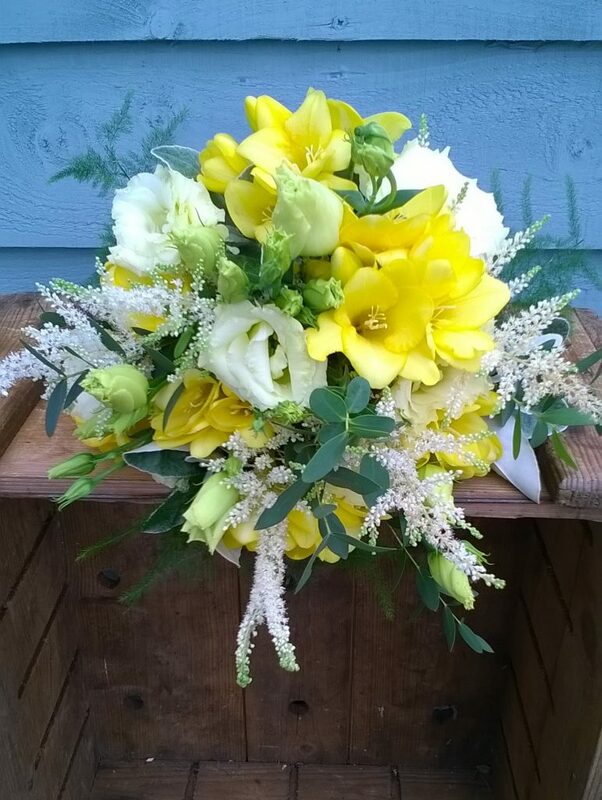 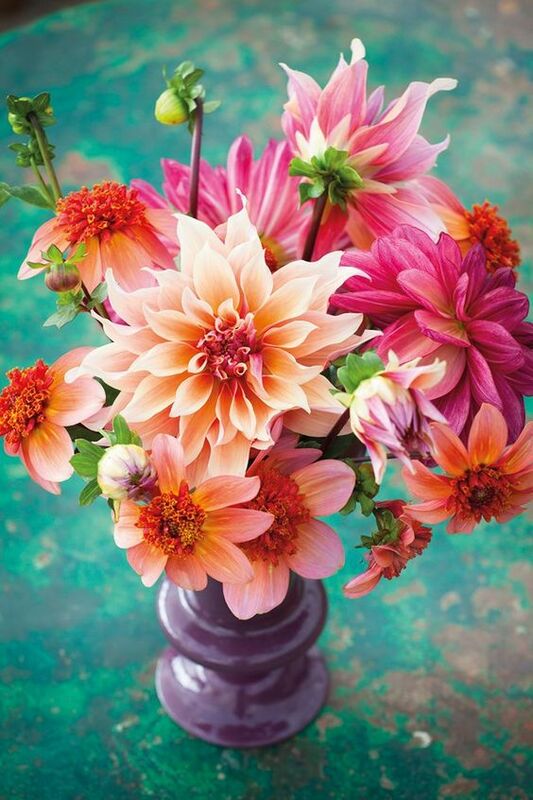 This is a real vibrant mix for Emma’s bouquet. 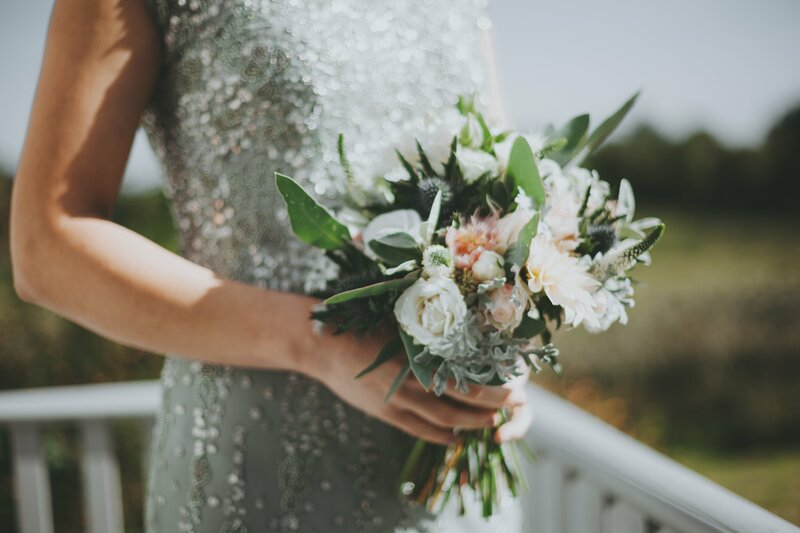 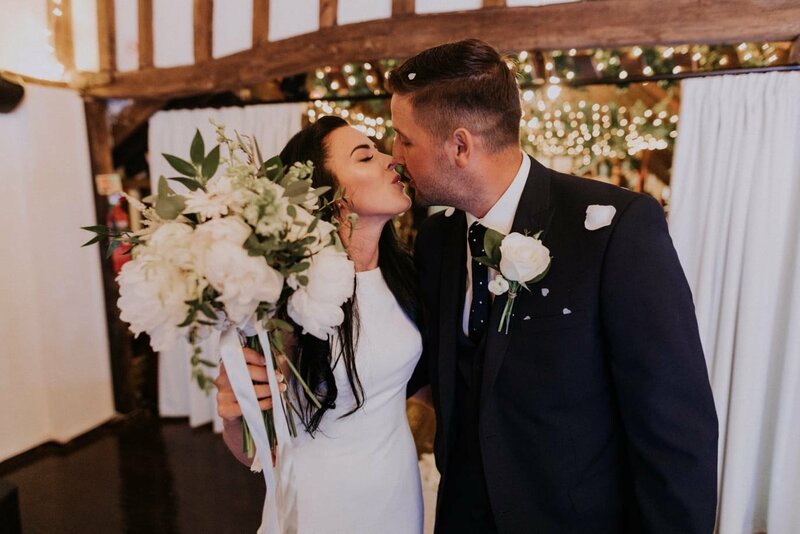 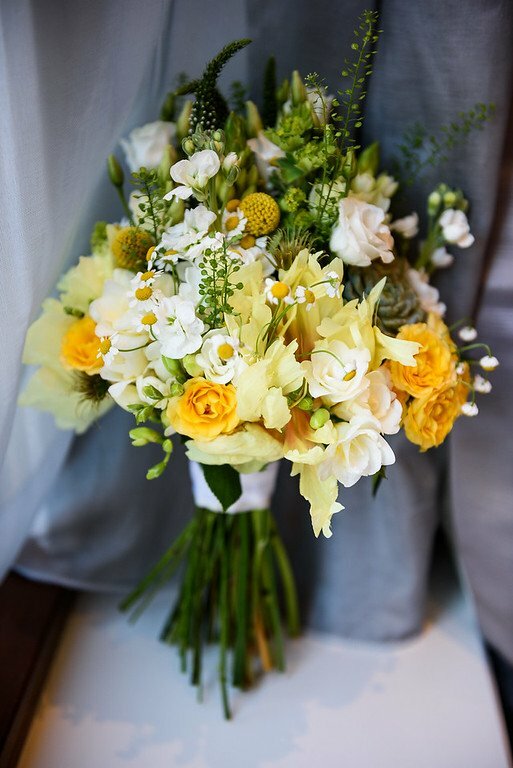 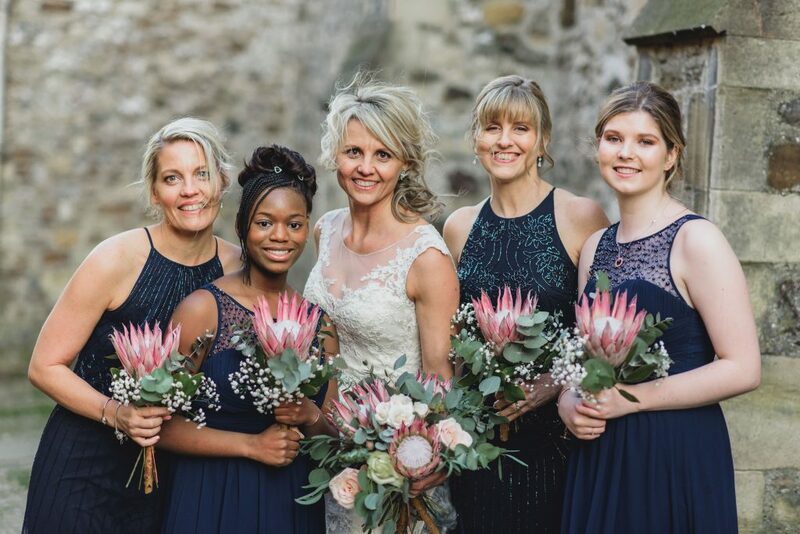 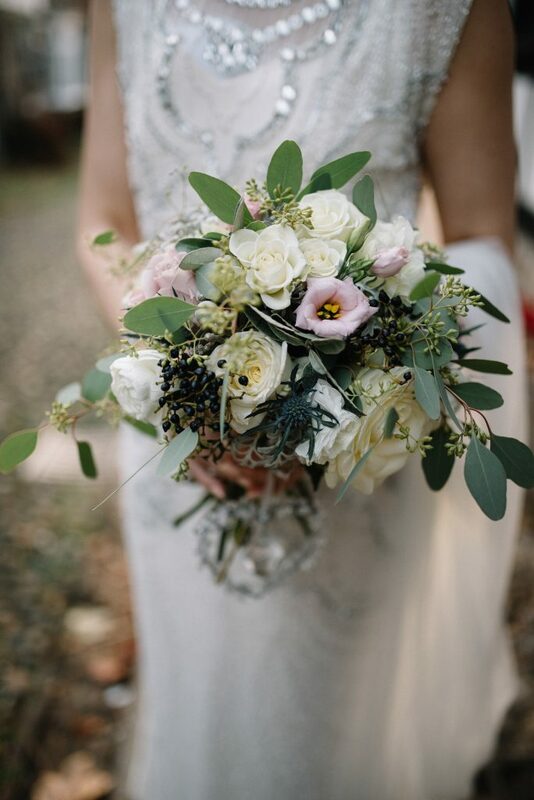 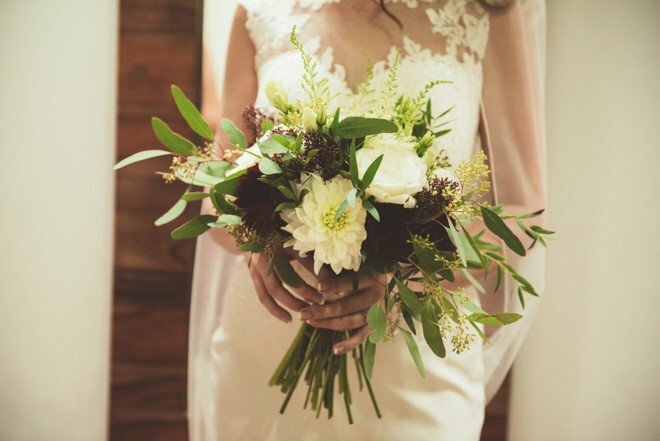 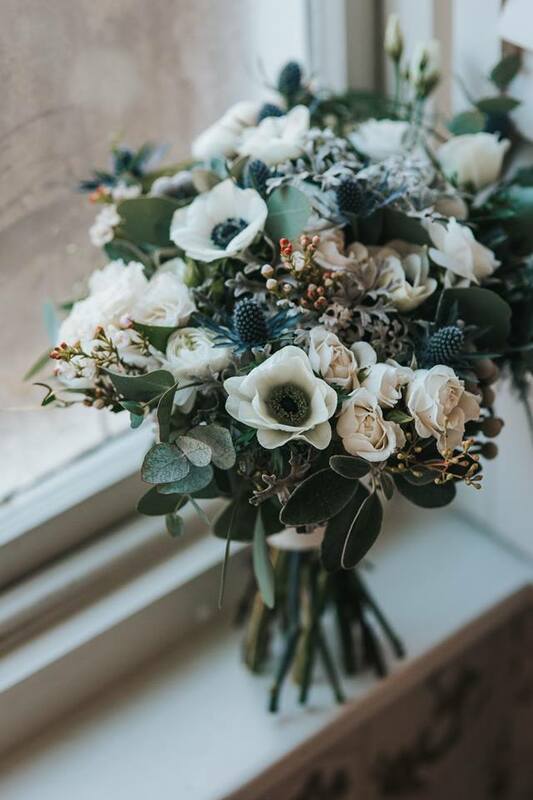 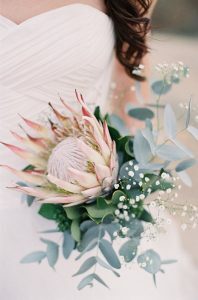 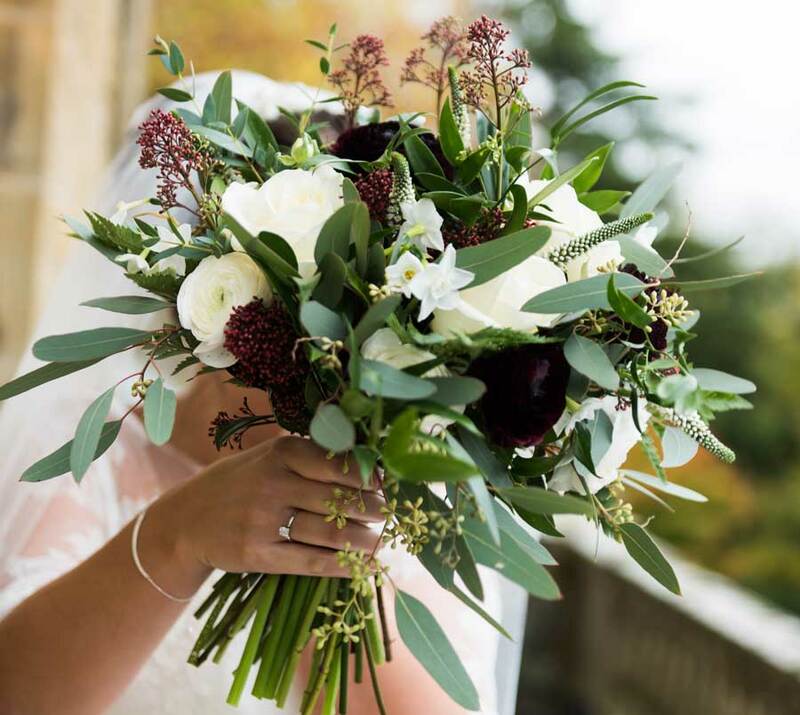 White anemone’s have to be the flower for our winter weddings and succulents made an appearance on quite a few occasions for buttonholes and in bouquets as can be seen in Nadine’s bouquet photographed by Matt Harquail. 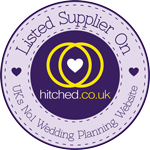 So that’s a snap shot of our year. 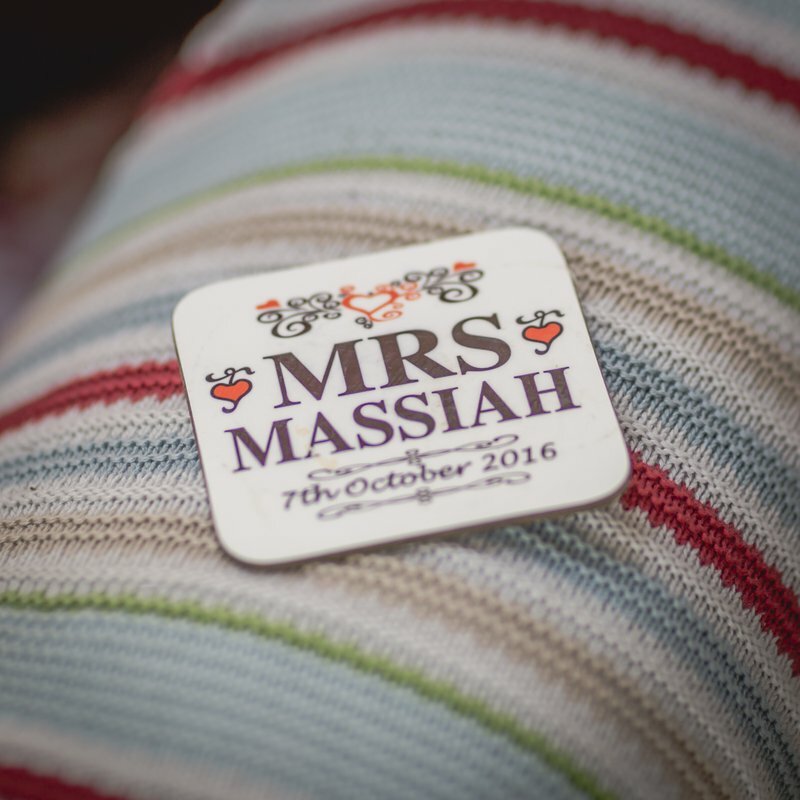 I will be returning to individual weddings in more detail in future posts. 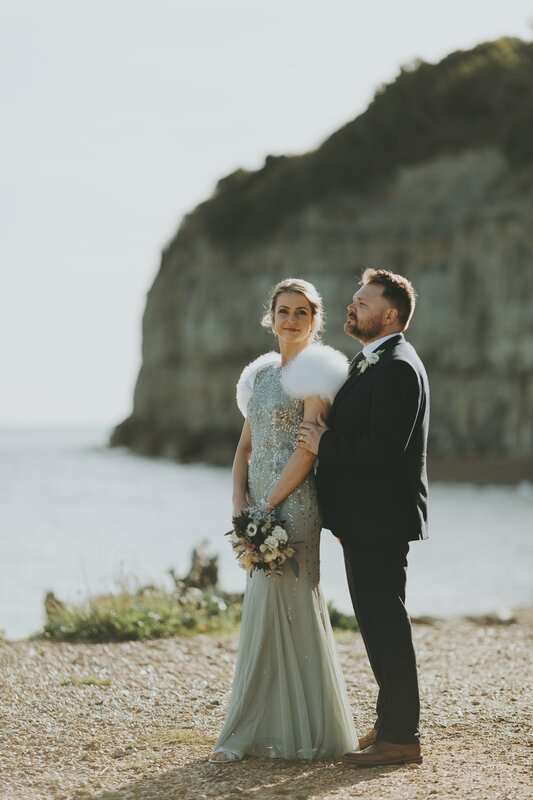 I had to share this lovely wedding with you, it was pure Gatsby glamour that fitted so well with the season. 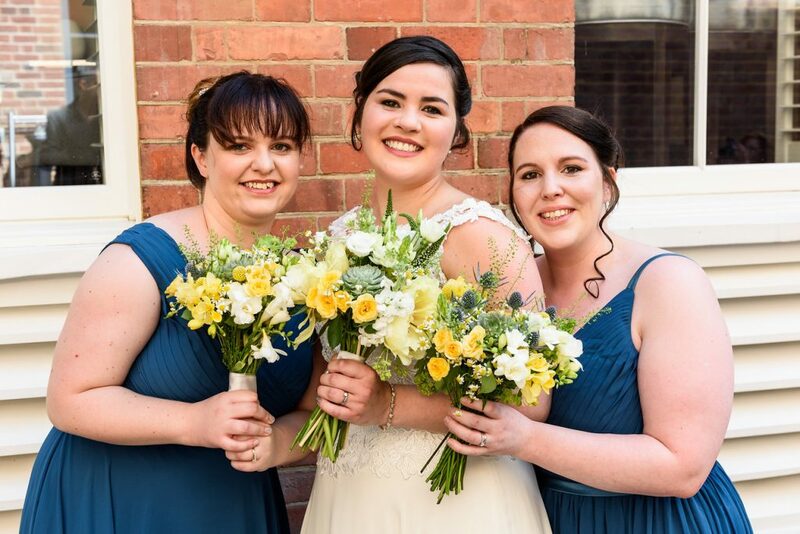 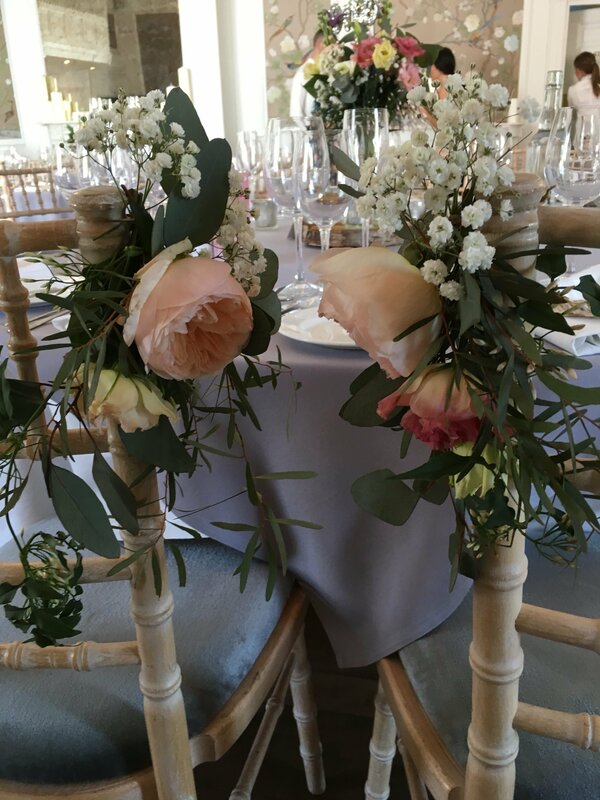 The colour scheme was navy and gold so the bridal flowers were ivory, blush with a hint of blue and grey. 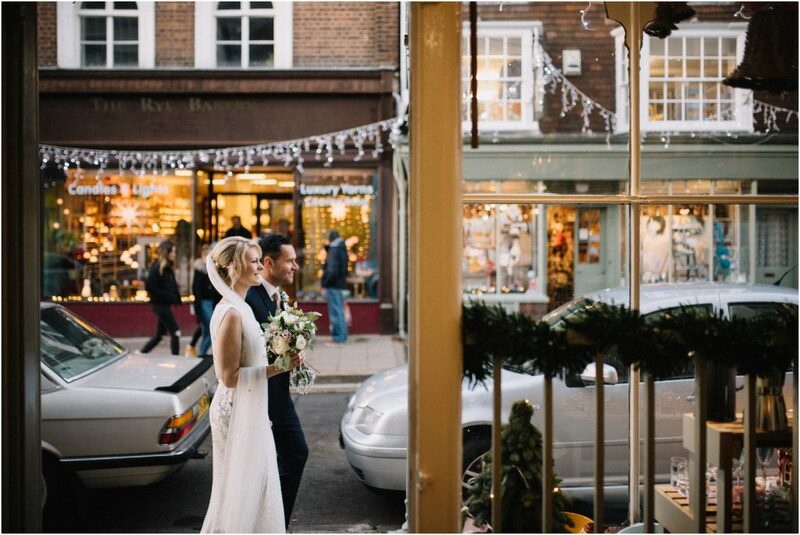 Being December The George in Rye looked splendid with Christmas tree, fairy lights and all the trimmings. 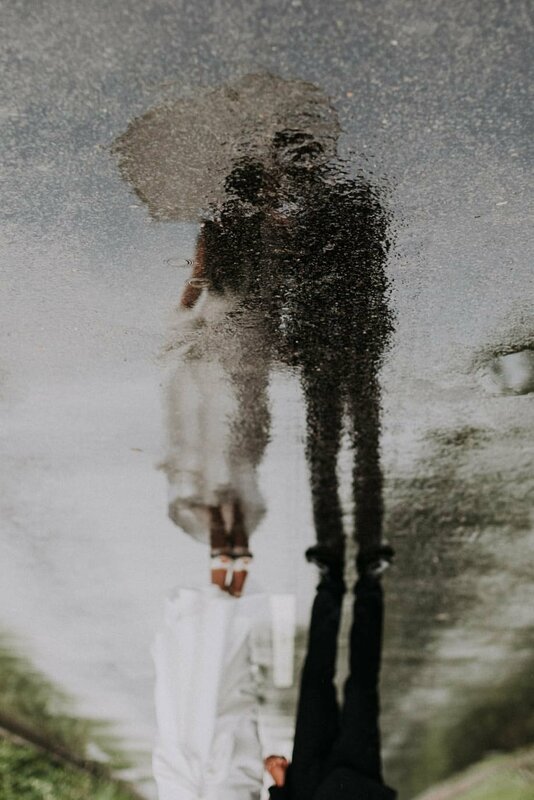 Photographer Joe Kingston took stunning photographs capturing the spirit of the day. 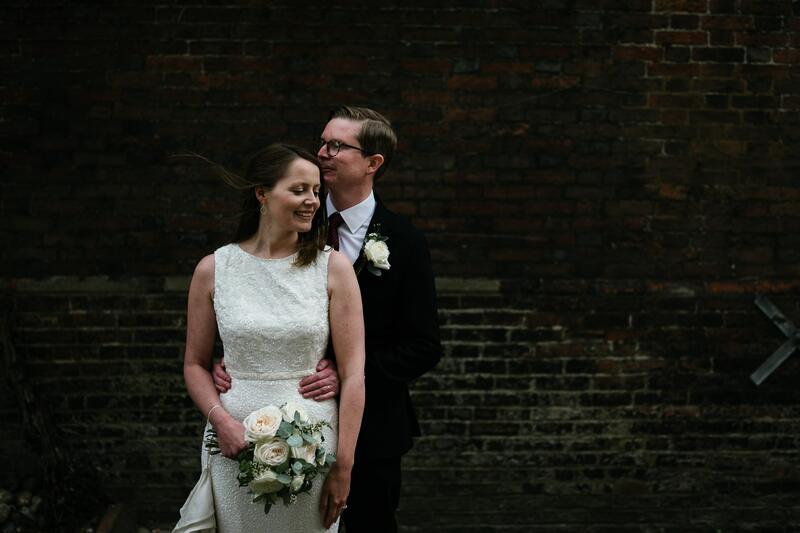 Kathryn and Mark had paid a lot of attention to detail and it paid off as the following record of the day shows.